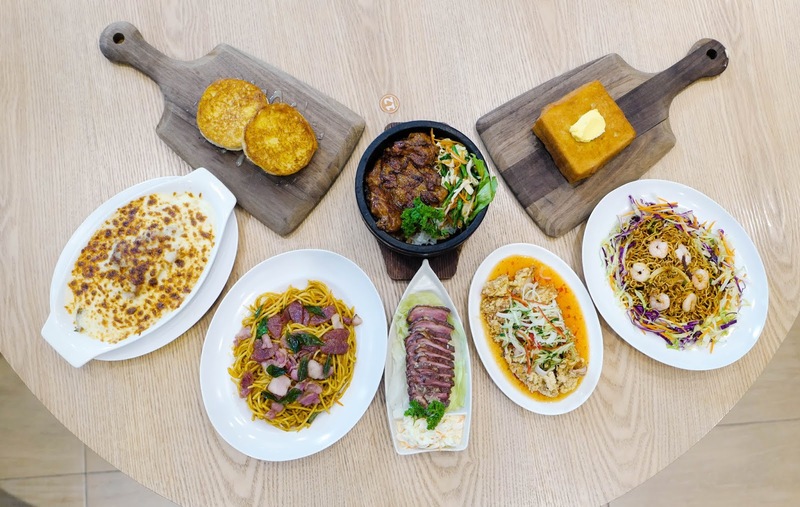 Imaginative interpretations of everything from chicken rice to Korean-inflected sausages, plus specialities that span Sarawak to Penang, Belgian waffles to Taiwanese milk tea: Paradigm Mall is bursting with a bevy of new restaurants that promise pleasure for every palate. 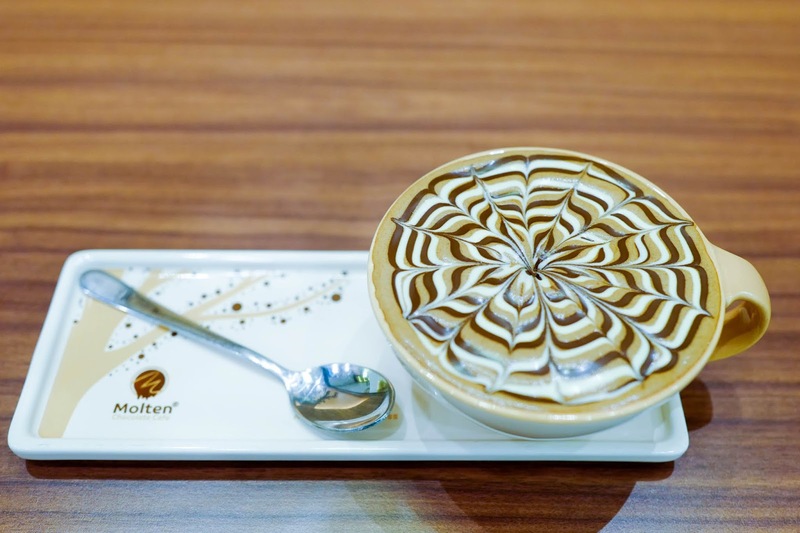 13 Stages honours the 13 states of Malaysia in a unique fashion, serving up a specific coffee (or kopi!) 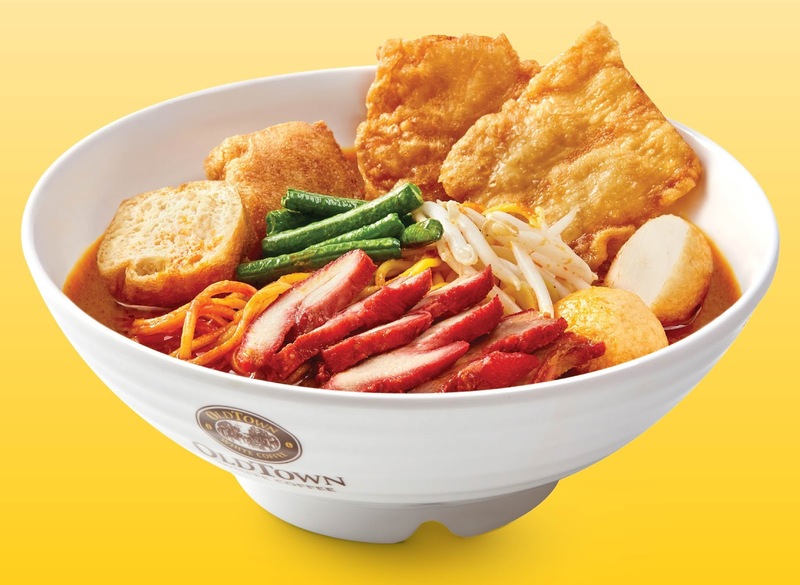 that represents each and every one of the states - true to its tagline, 13 types of coffee flavours, 13 types of chicken rice. 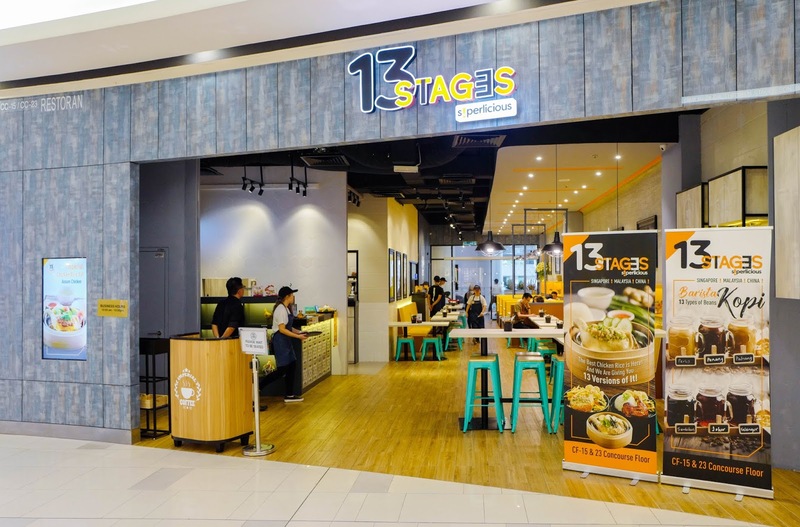 Thirteen is a lucky number here after all! 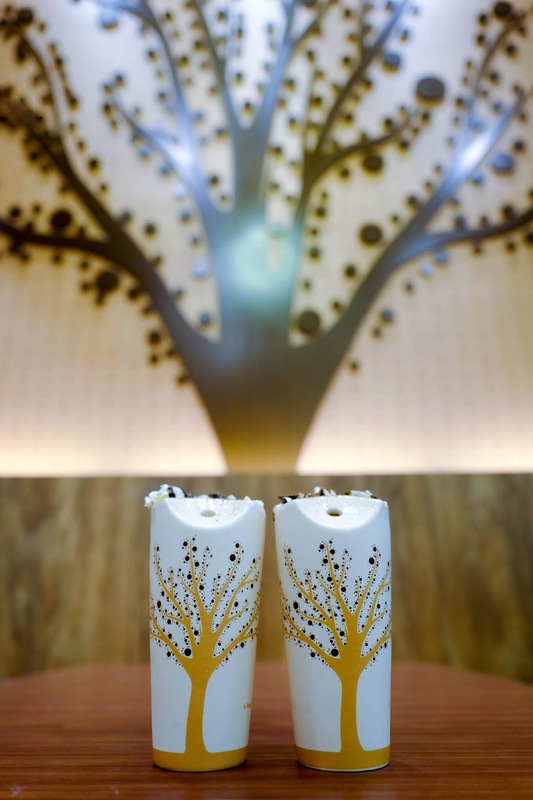 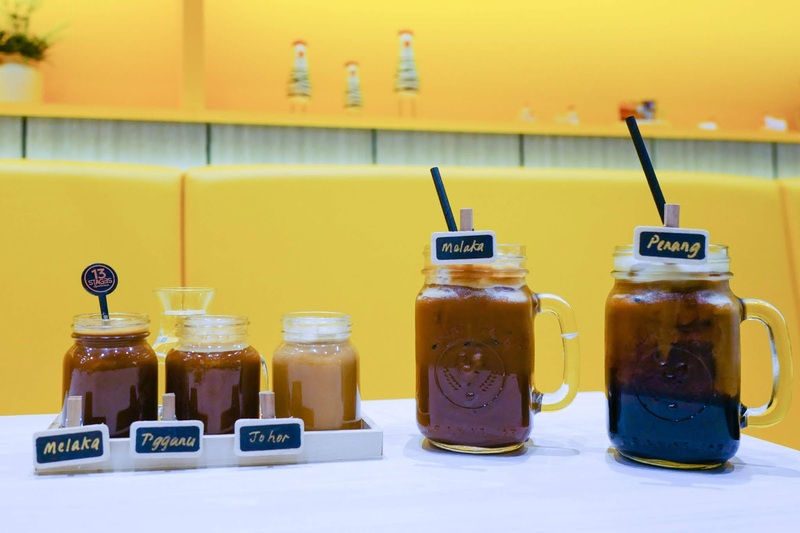 Paradigm Mall is the first place in Malaysia to host 13 Stages - for the ideal introduction, order the Gem of 3 States, with three shot-like glasses to showcase your personal selection of kopi (RM7.20). 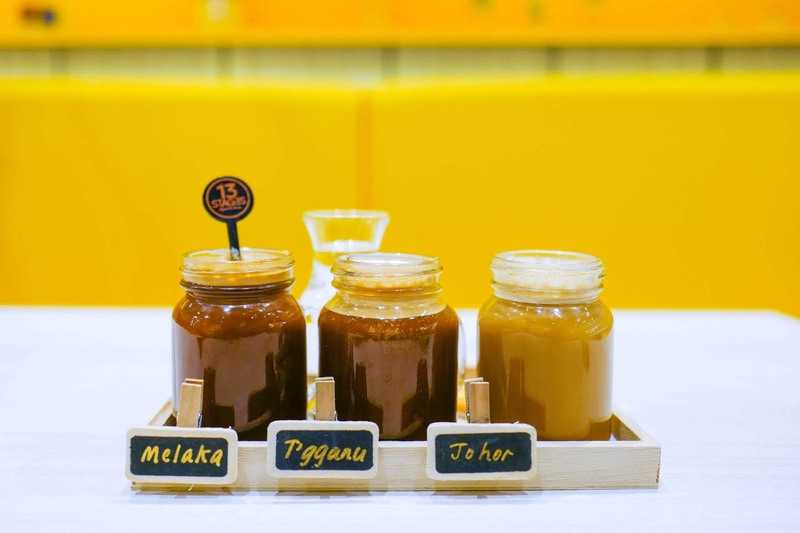 Our trio highlighted the medium-bodied Melaka, the rich and velvety Terengganu, and the smoothly balanced Johor, running the gamut from peninsular Malaysia's south to northeast. 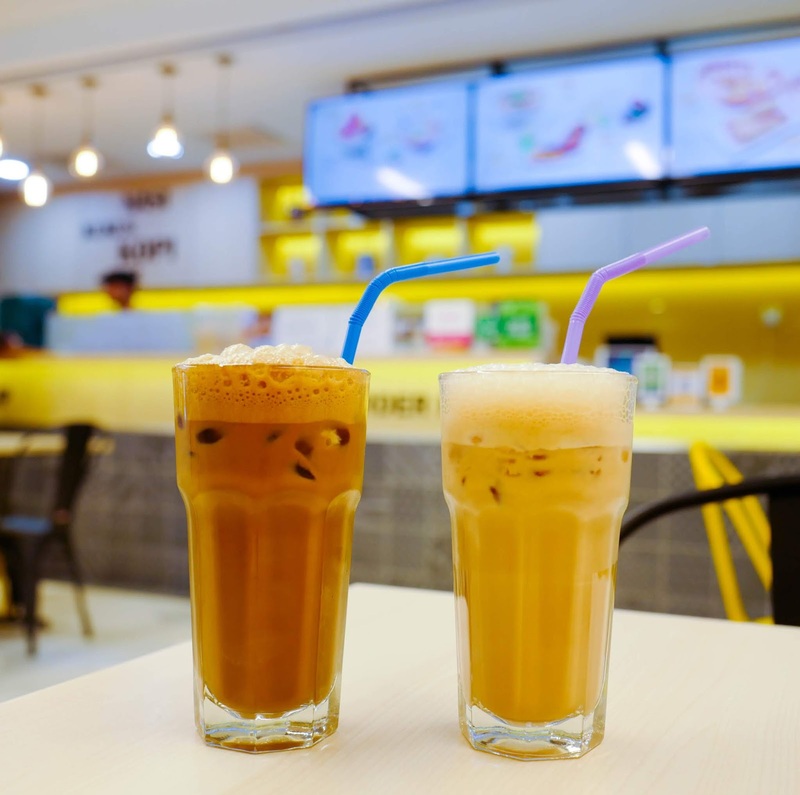 We also sipped on an Iced Melaka (RM4.90) and an Iced Penang, a little thicker and more textured (RM4.90). 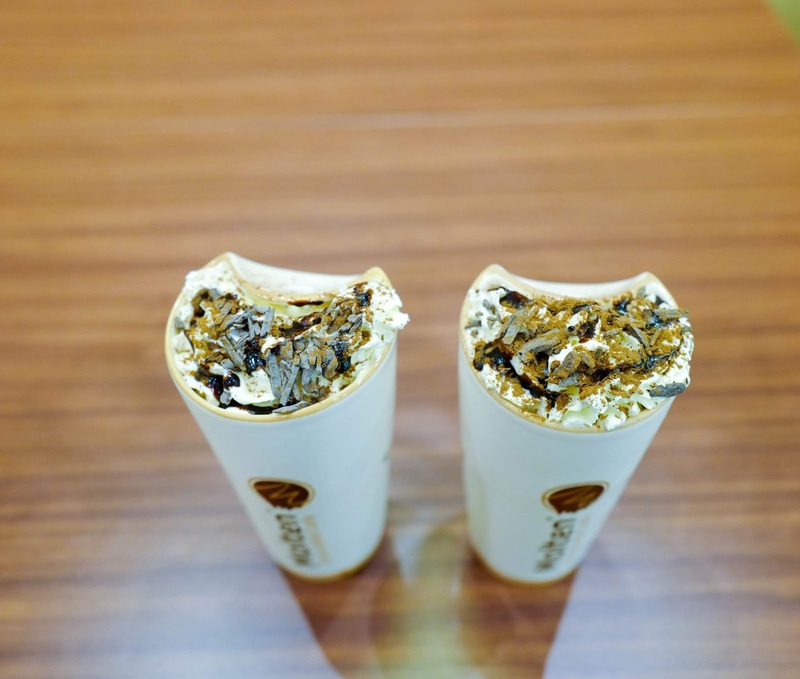 This kopi series is still being refined, so if your preferred state is not ready yet, check back with them soon. 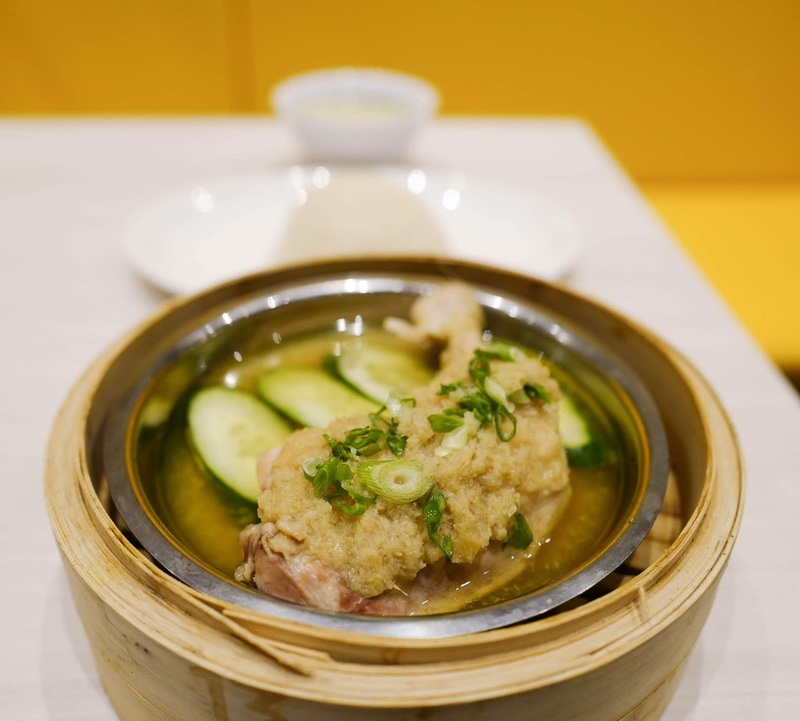 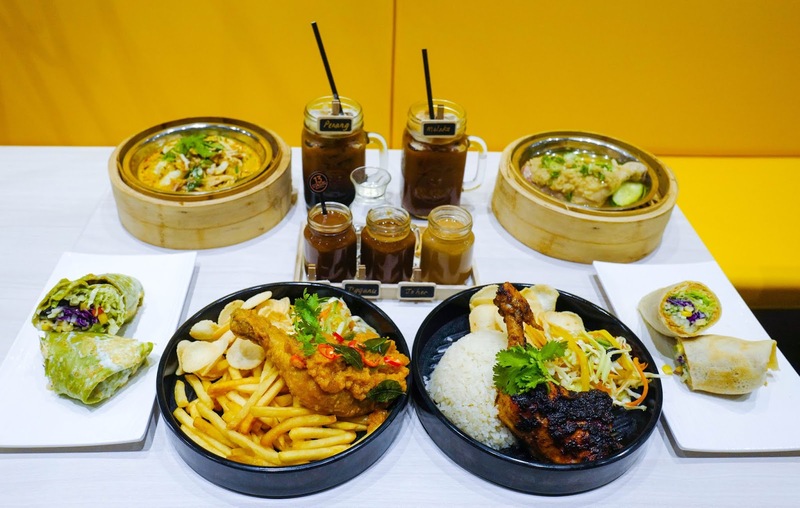 The 13 chicken temptations include the aromatic Imperial Chicken Rice, featuring moist, freshly steamed meat in a traditional bamboo basket, completed with fragrant chicken rice (RM14.90). 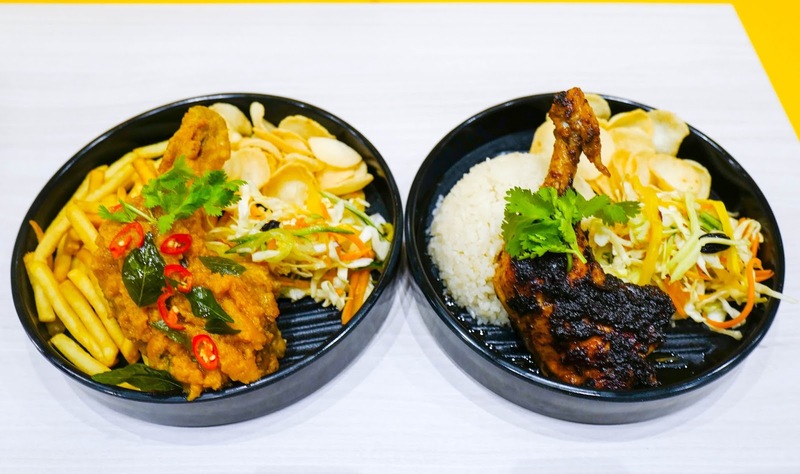 Many dishes come with soup and your choice of rice or fries - the Crispy Salted Egg Chicken is the most decadent pick, with that distinct yolk taste (RM16.90), while the Indonesian Grilled Chicken offers a smoky, juicy char in each bite (RM15.90). 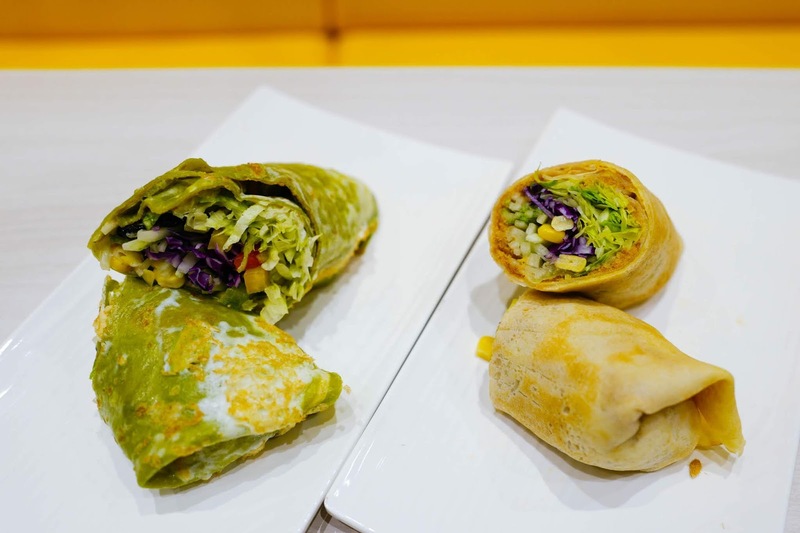 Beyond coffee and chicken rice, 13 Stages serves snacks and other warm meals, from wraps stuffed with the likes of chicken floss, egg, corn and veggies in the Golden Chicken Floss (RM8.90) or the vegetarian-friendly Green Leafy Wrap that cuts out the floss (RM7.90). 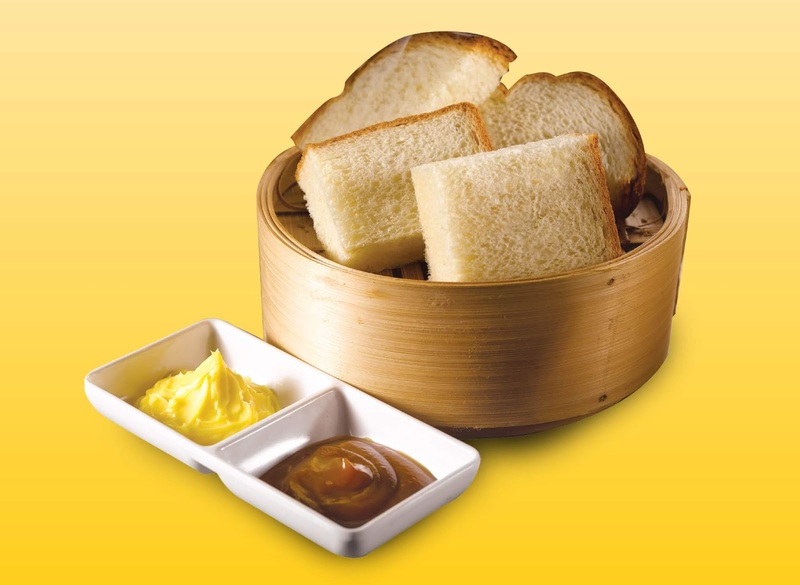 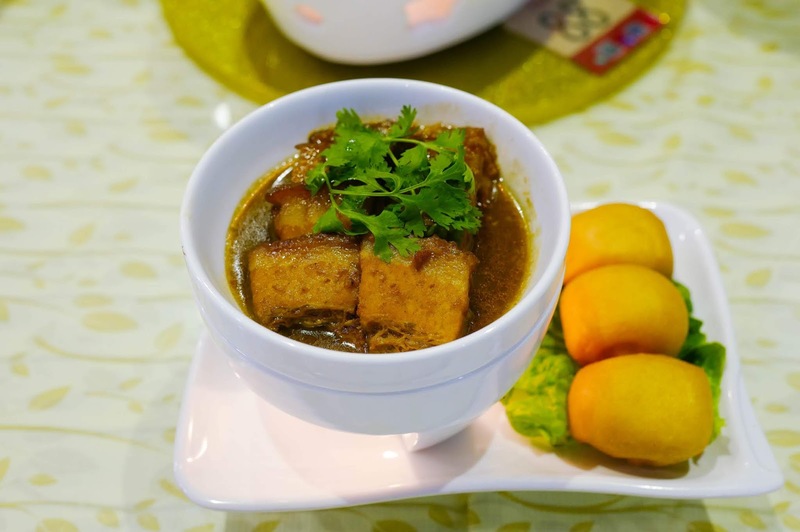 For a teatime treat, the Curry Chee Cheong Fun promises a punchy indulgence to pick you right up (RM7.90). 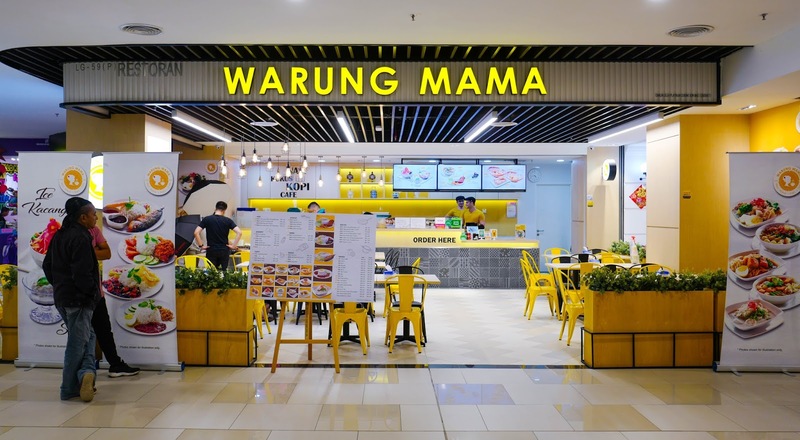 Warung Mama's origins extend to its Perak-born founder (a father with his own stall in Ipoh) and his extended family, who hail from across Malaysia. 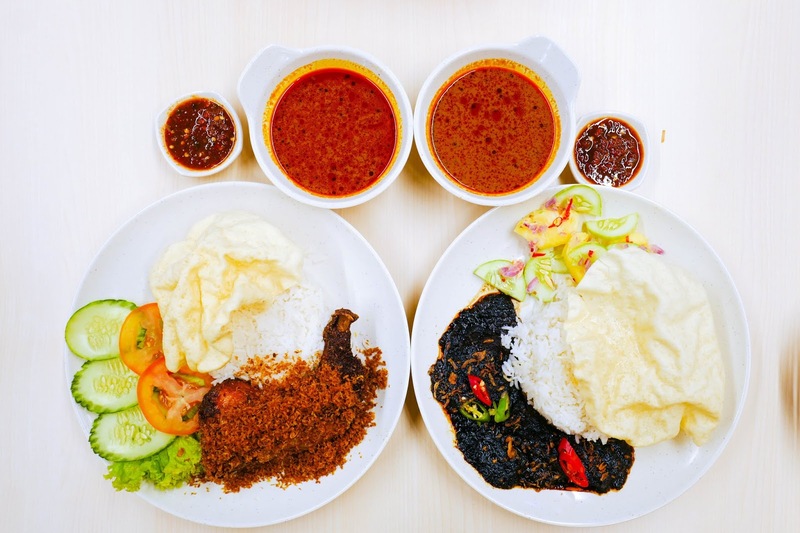 The cuisine here is a tribute to time-honoured traditions - try the Nasi Kukus Daging Hitam, a Perak speciality, brimming with tender beef cooked in dark, deep soy sauce for six hours and completed with a gulai recipe by the founder's own grandmother (RM11.90). 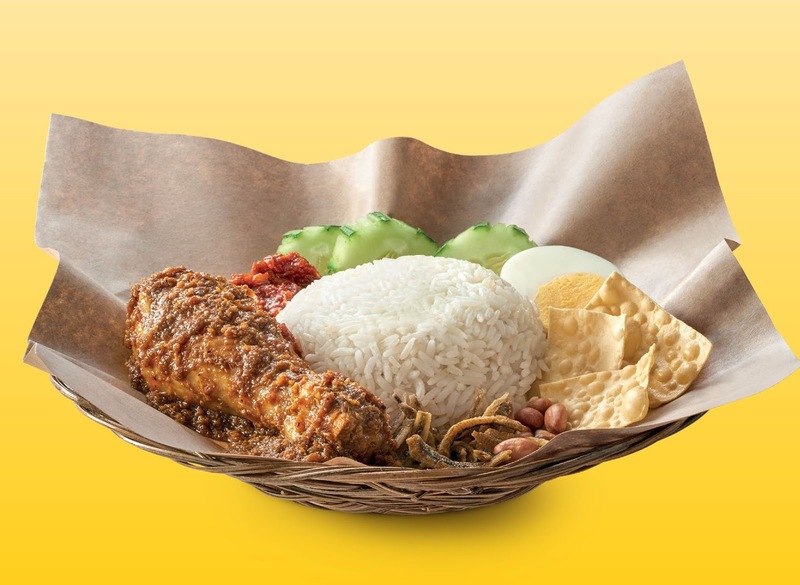 If you prefer chicken, check out the Nasi Kukus Ayam Goreng Berempah for a hefty chicken leg that's irresistibly crisp to the bite (RM11.90). 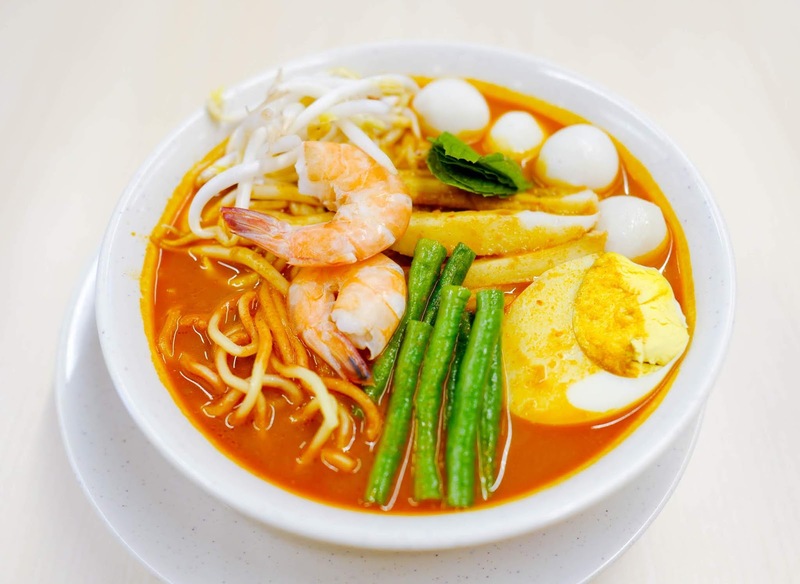 Other savoury meal options include Laksam, the popular East Coast favourite that's been comforting for generations of residents in Kelantan and Terengganu (RM10.90), and the Mama Mi Kari, with a creamy curry bursting with prawns and fish balls (RM10.90). 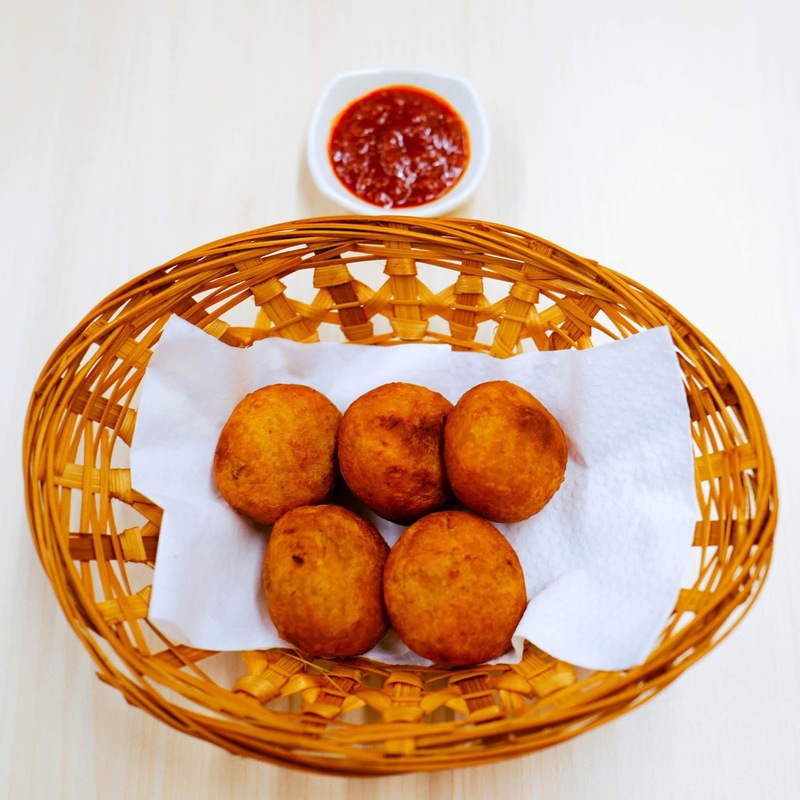 If you simply crave something light to munch on, the Cucur Badak, coated in coconut grains, is a classic kuih that everyone from grandparents to grandchildren should appreciate (RM4.90). 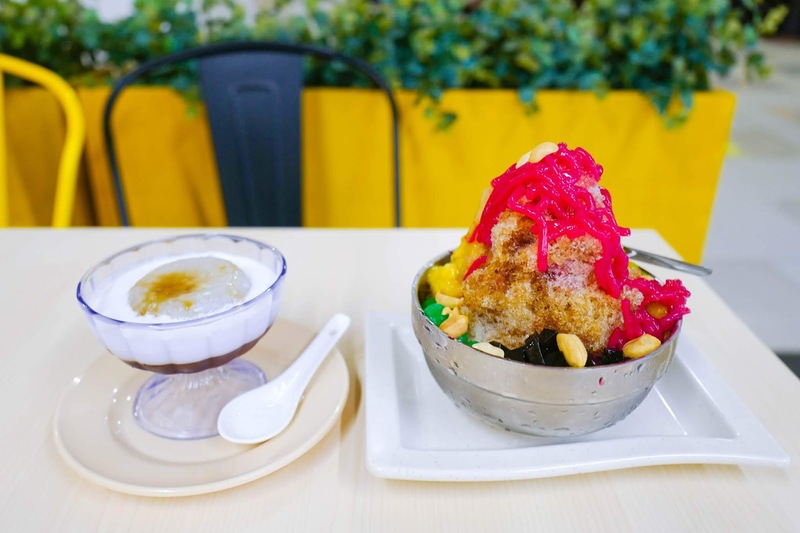 Battle the heatwave with chilled desserts like the Melaka-style Sago (RM4.50) and the can't-fail Ice Kacang (RM4.90), or sip on white coffee sourced directly from Ipoh, like the Iced Coffee (RM3.80) and the Iced Teh Tarik (RM3.90). 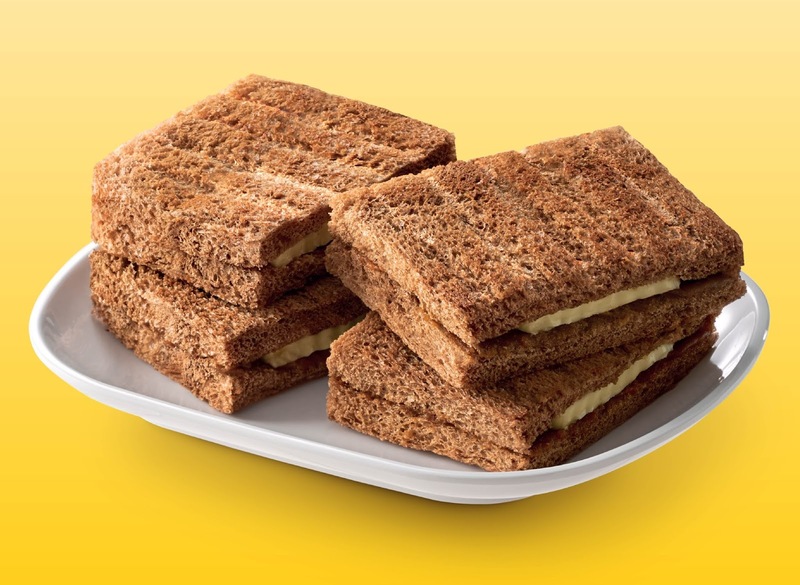 Mama knows best, indeed. 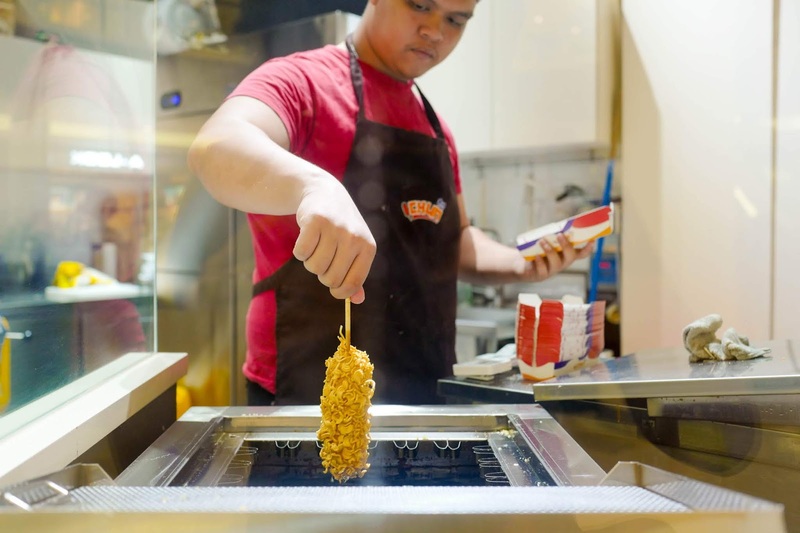 Chun introduces an inventively playful take on sausages to the Malaysian masses - sausages coated with rice flour batter, relying on a secret recipe that comes straight from the original brand in South Korea. 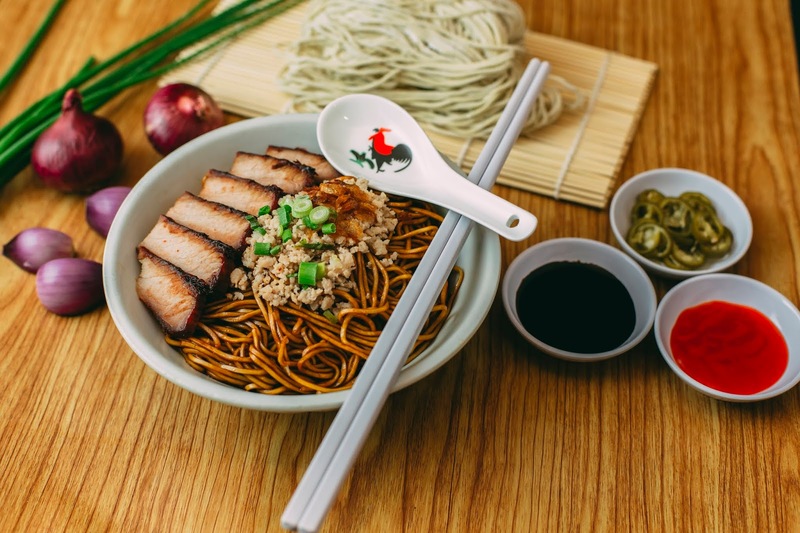 The OG blankets a smoked chicken black pepper sausage with rice flour batter - the sausage tastes meatier and denser than your typical sausage, but it also has a fluffy exterior thanks to the batter, resulting in a fun textural contrast (RM7.80) Our serving is pictured with a further coating of Curly Crunch crispy noodles for extra crunch (add on RM1.50). 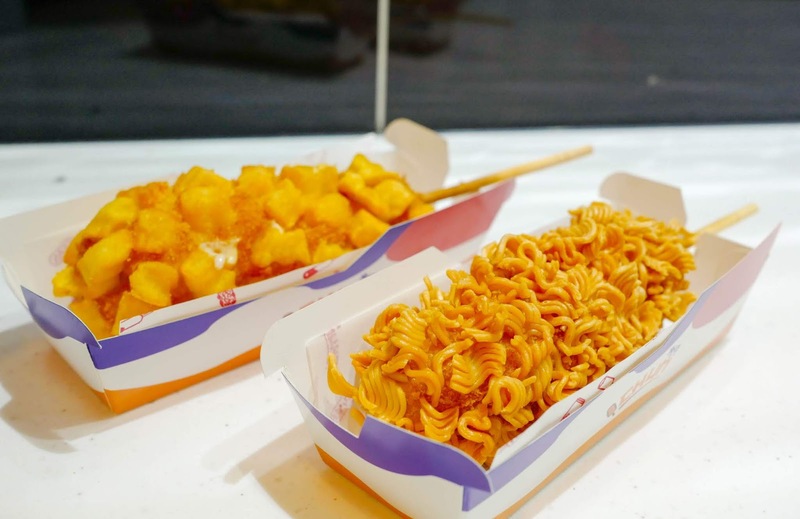 For variety, you could also nibble on the Mozza, which is part sausage, part stringy-chewy mozzarella cheese (RM9.30), pictured here with the Popo Fluff, a coating of crispy diced potatoes (+RM1.50). 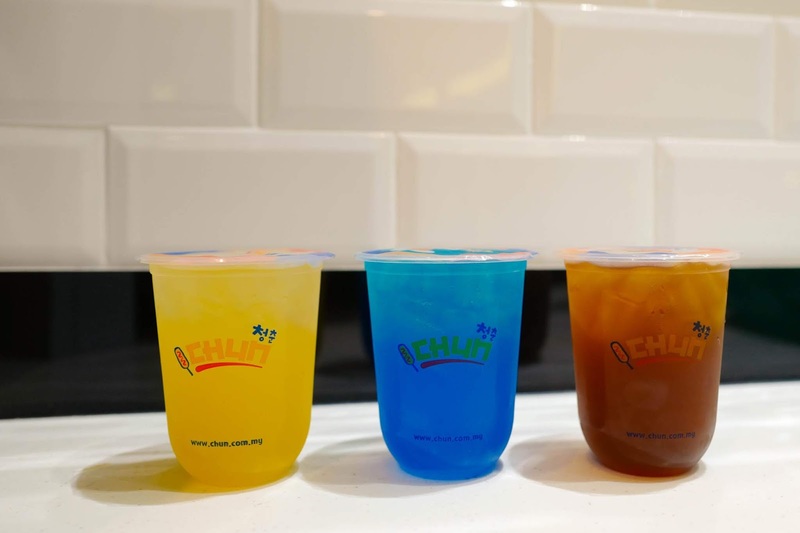 Chun has also rolled out new tropical-themed beverages in the past month, including the reviving, fruity Longan Kumquat, Lemon Waves and Peach Paradise. 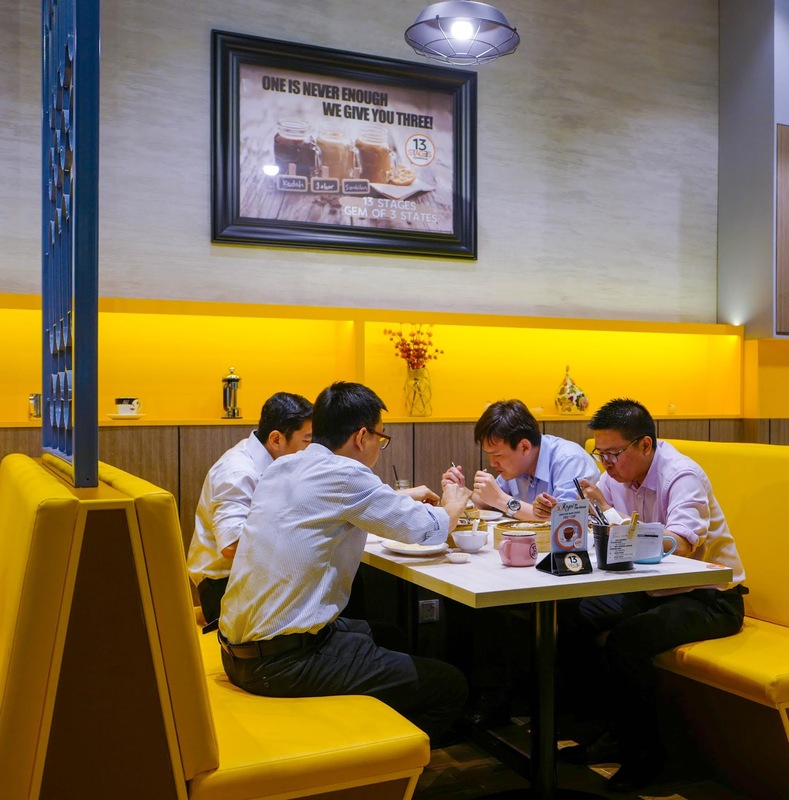 Each clocks in at RM4.50, or only RM3 if you order it with a sausage. 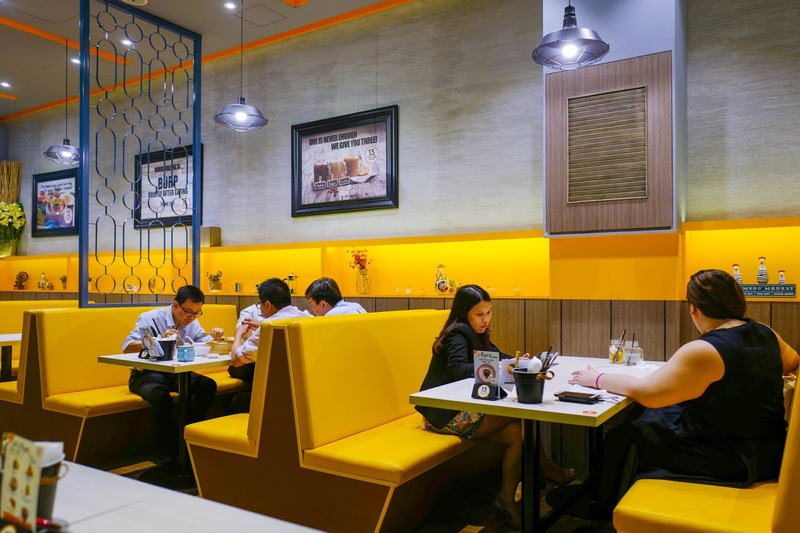 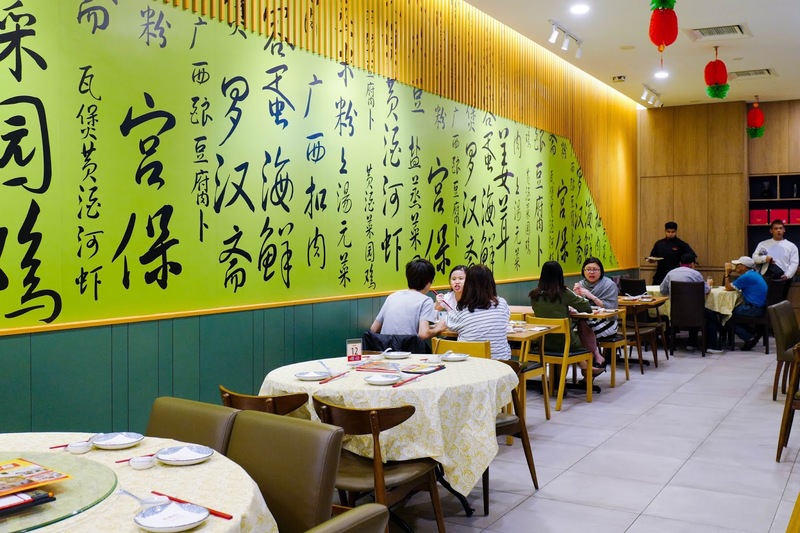 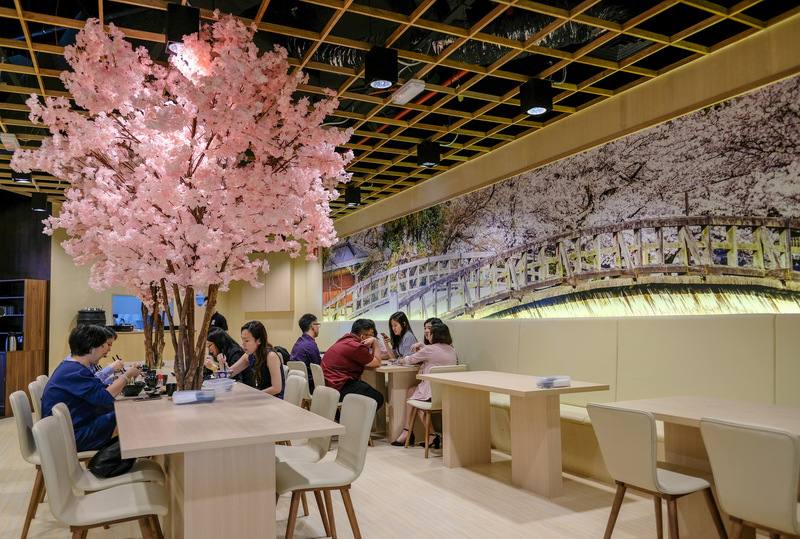 Canton Kitchen has become popular as a family-friendly Chinese restaurant, but it's also a destination for workday lunch meals, courtesy of weekday lunch sets priced at RM18, inclusive of Chinese tea. 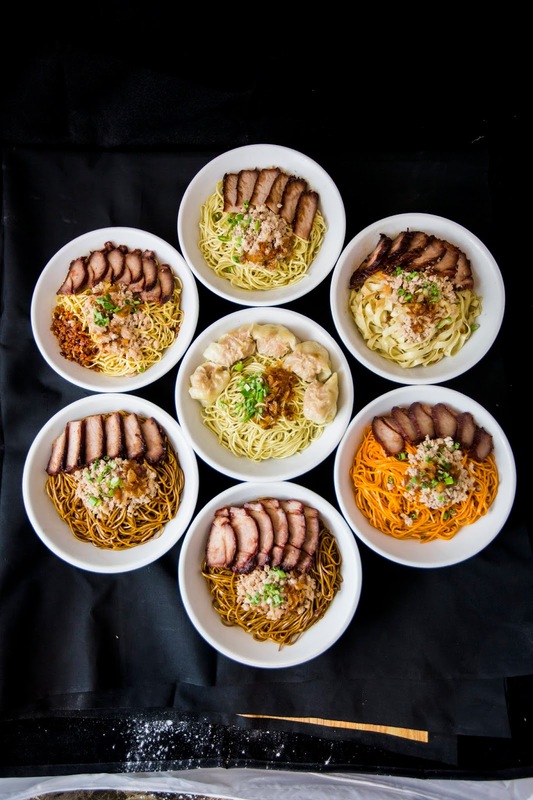 Each portion is perfect for one patron, generously portioned for busy but hungry office workers. 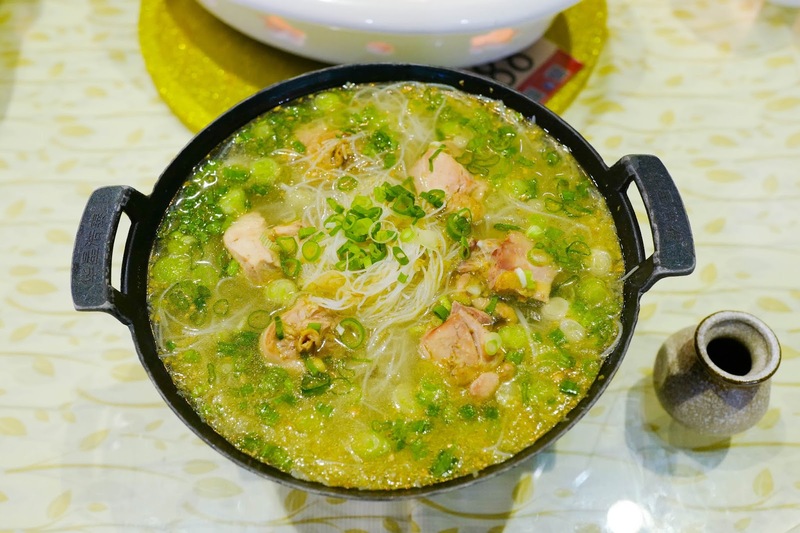 Possibilities include Steamed Mihun with Ginger Wine Chicken and Guang Xi Style Braised Pork with Mantou - balanced, flavourful and fulfilling without being overwhelming. 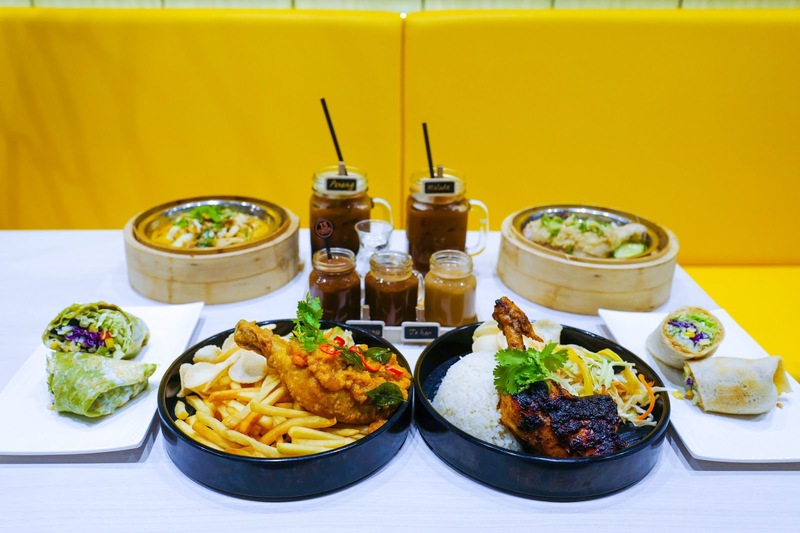 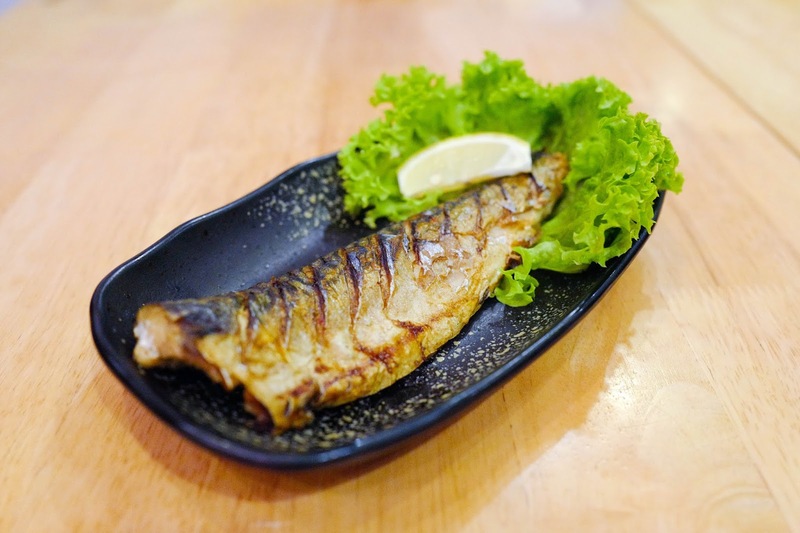 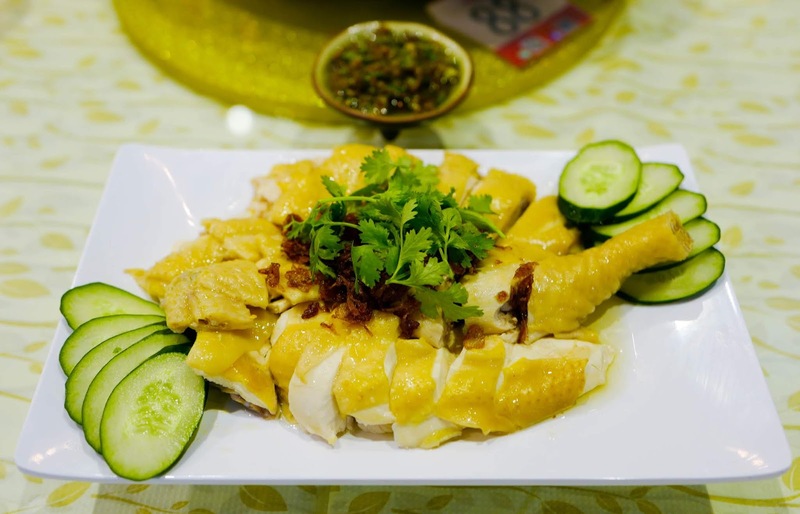 Larger groups can share in indulgences like the succulent Kampung Chicken (RM24.90) and the Steamed Tilapia Fish, swimming in a thick, tangy assam paste (RM35.90). 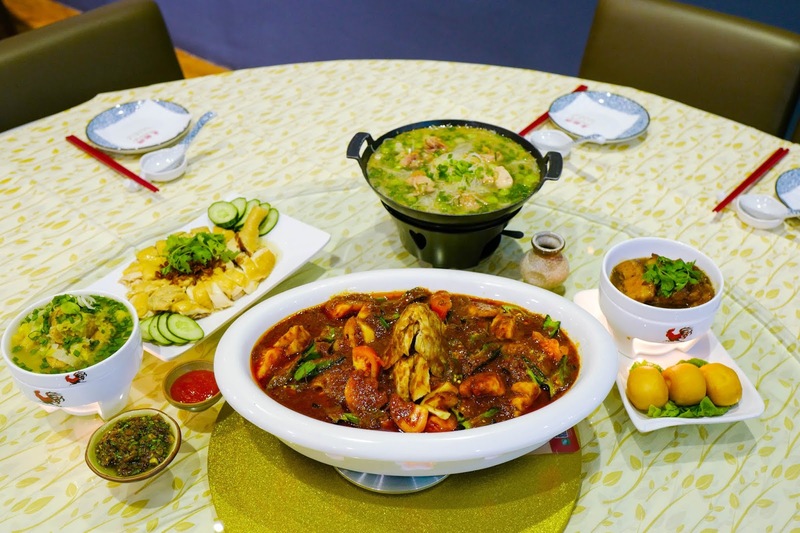 Much of the a la carte menu comprises reasonably priced dishes that can easily satiate four persons or more. 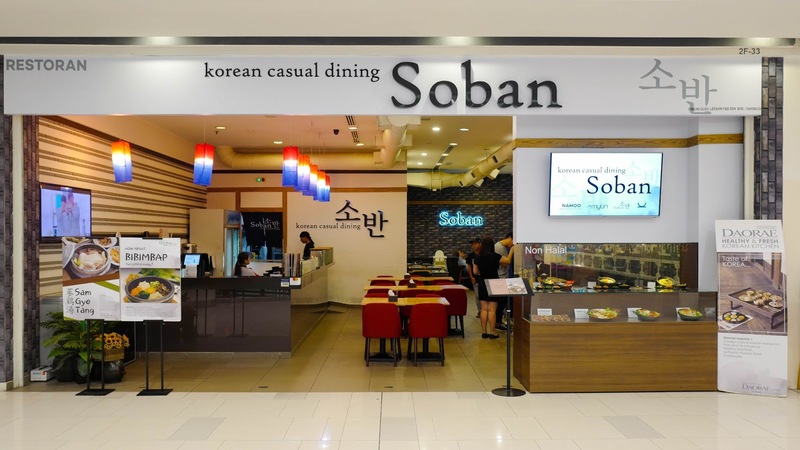 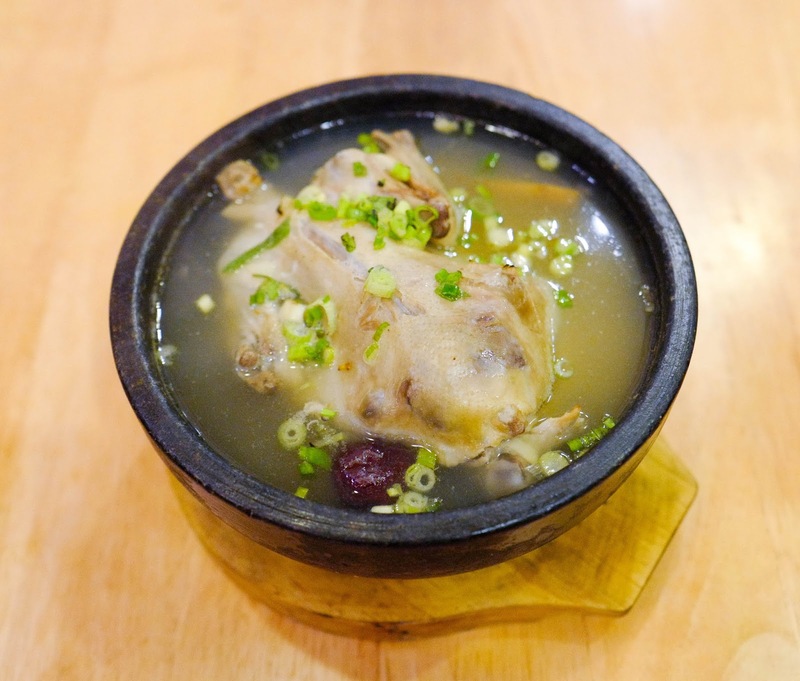 Led by a fleet of Korean chefs, Soban has been around in Paradigm Mall for longer than the other restaurants on this list, but it remains an under-the-radar, well-kept secret. 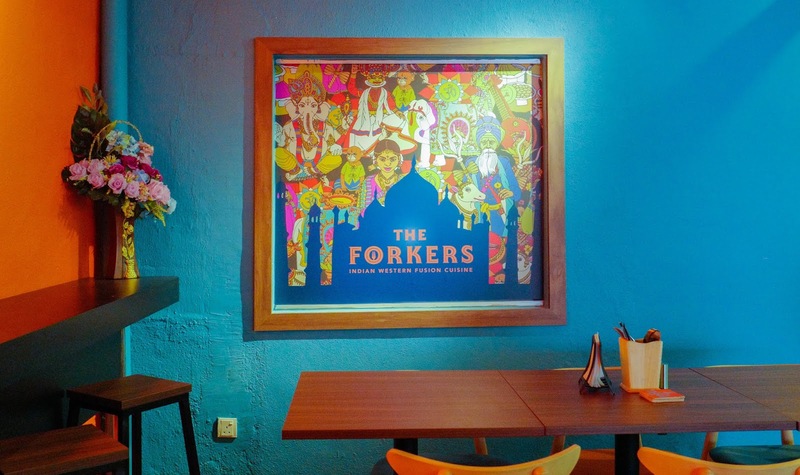 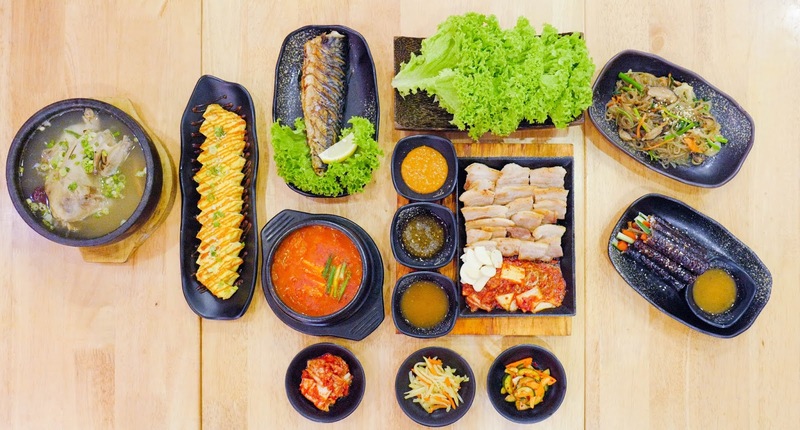 Founded by a Gangnam-origin Korean, the restaurant relies heavily on ingredients shipped in from Korea, from kimchi to seaweed, to authentically recreate the taste of its home-country inspirations. 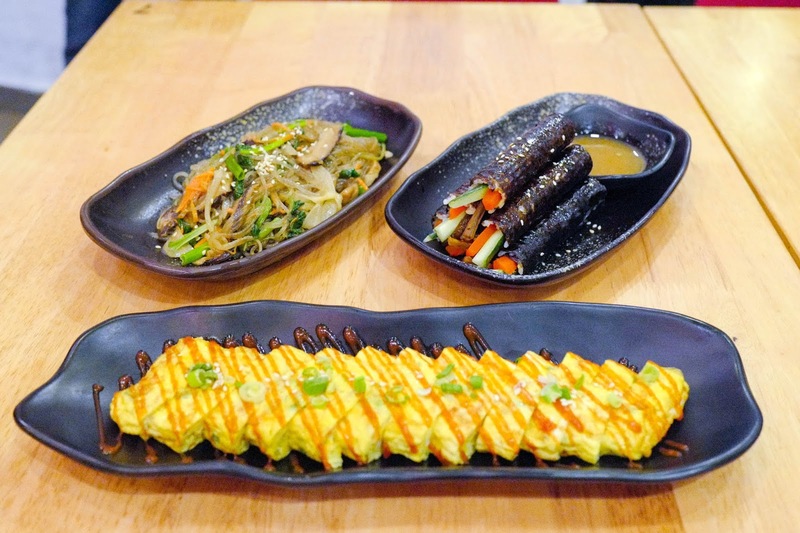 The variety is vast - start with the Cheese Gyeran Mari rolled omelette with mozzarella (RM13.90), Jap Chae stir-fried imported glass noodles with vegetables (RM12.90) and Kkoma Gimbap vegetarian mini dried seaweed rolls (RM15.90) for a trio of appetite-whetters that yield diverse flavours representing the soulful staples of Seoul. 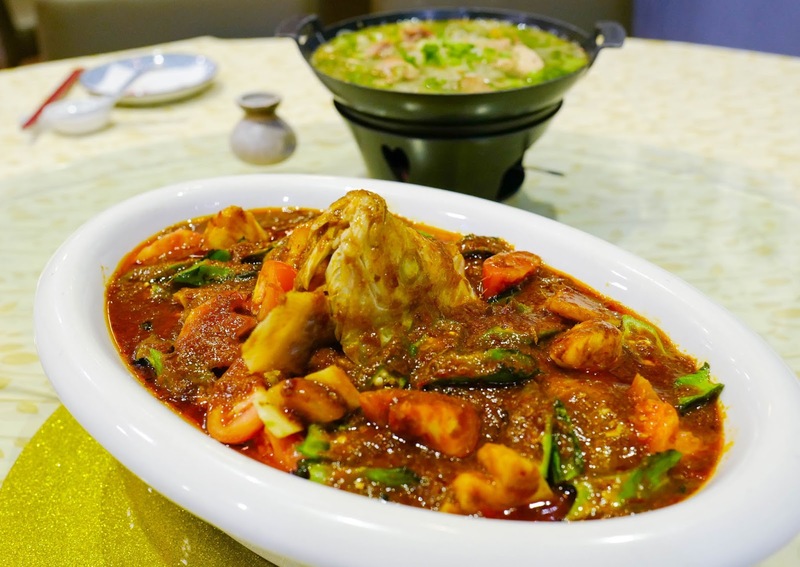 Main courses run the gamut from poultry to fish, from Sam Gye Tang, an earthy, steaming-hot ginseng chicken soup served with Korean sticky rice (RM28.90, comprising a whole chicken), to Go Deung Eo Gui, focusing on the grilled goodness of Norwegian mackerel with a stew of your choice, kimchi, soybean or tofu (RM28.90). 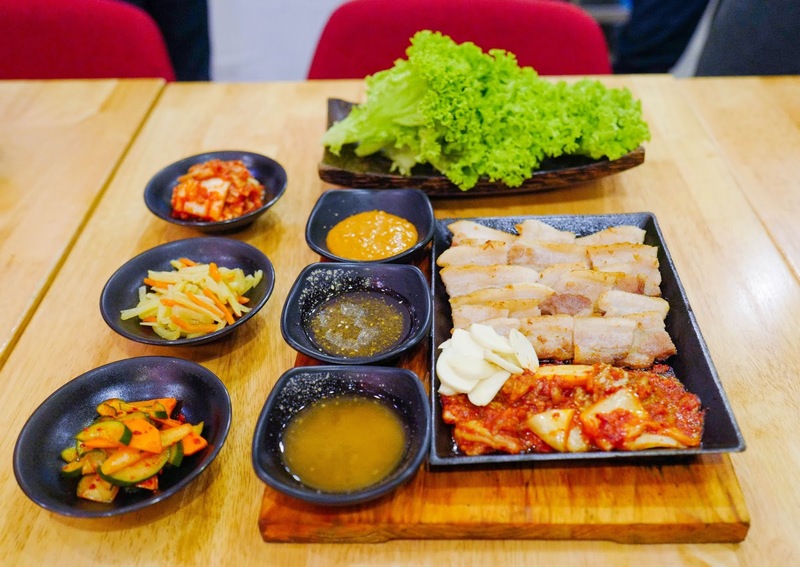 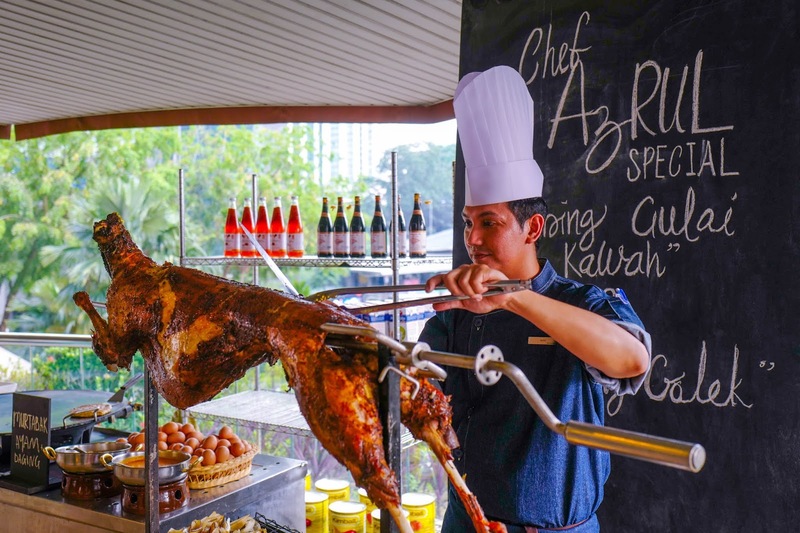 Porcine pleasure emerges in the form of Kimchi Samgyupsal, smoky pork belly with fried kimchi, rounded out with an array of side dishes to mix and match, plus lettuce for wrapping the meat, which can be shared by two persons (RM39.90). 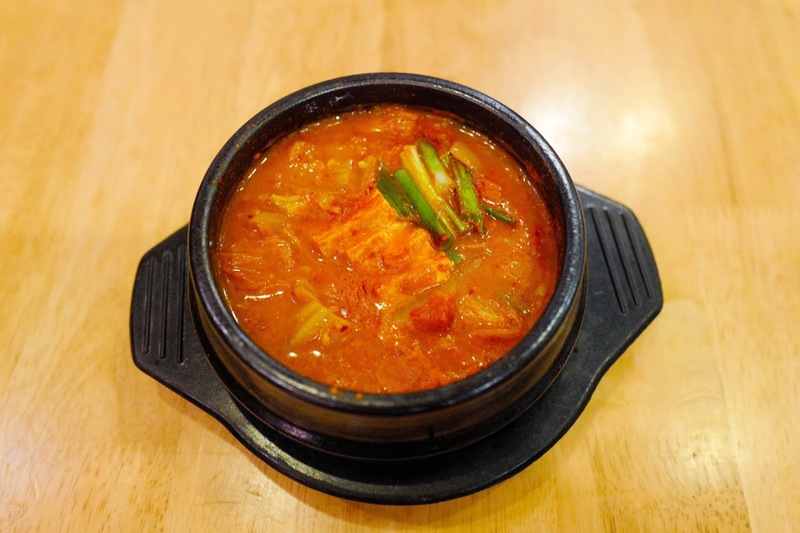 If you prefer a stew for one, try the Kimchi Jigae, bubbling with pork shoulder and tofu with rich, tangy nuances (RM13.90). 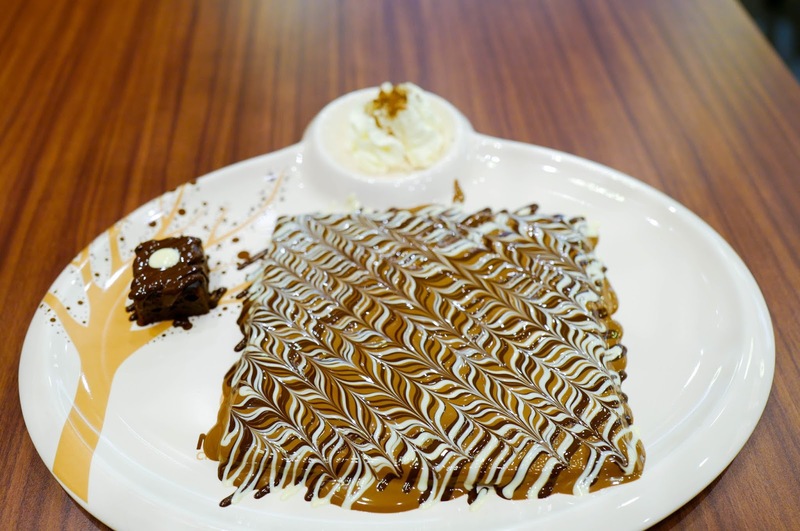 Time to satisfy the sweet tooth: Molten makes mouthwatering marvels with melted Belgian chocolate, a modus operandi that results in captivating creations like the Brownie Crepe (RM28.50; a brownie sandwiched between a crepe, oozing with strikingly patterned dark and milk chocolate) and the Waffle Stick (RM12; a classic Belgian waffle dipped and dripping with dark, milk and white chocolate, for the pinnacle of cacao decadence). 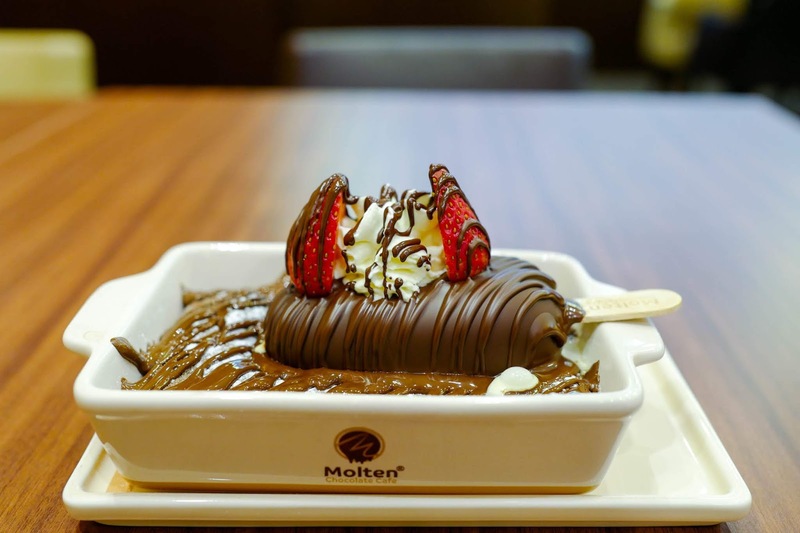 The flagship temptation is the Molten Lava Cake, a moist chocolate cake with that unmistakable melted-choc core that underscores Molten's namesake - have it crowned with a chocolate ice cream bar for chocolate in three ways: cake, almost liquid, and frozen (RM26). 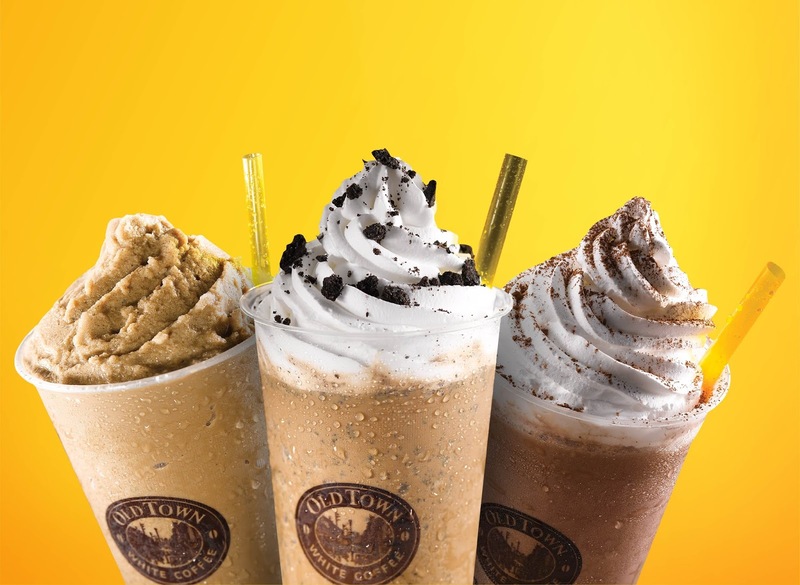 Beverages follow suit with a passion for Belgian chocolate, even blending dark, milk and white chocolate together in the Molten Planet, mixed with ice cream, whipped cream and shredded chocolate for the ultimate chocoholic's fantasy (RM18.50). 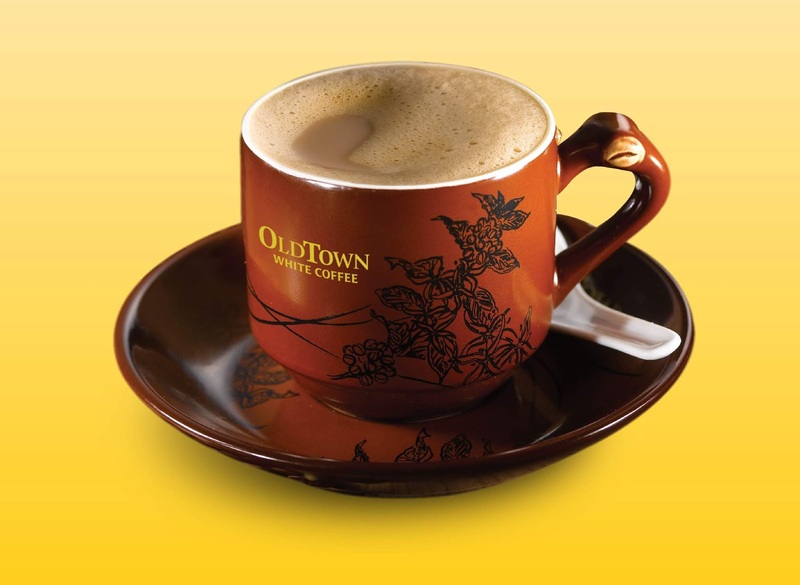 For a simpler delight, the Belgium Hot Dark Chocolate brings the heat up to warm the heart (RM14.50). 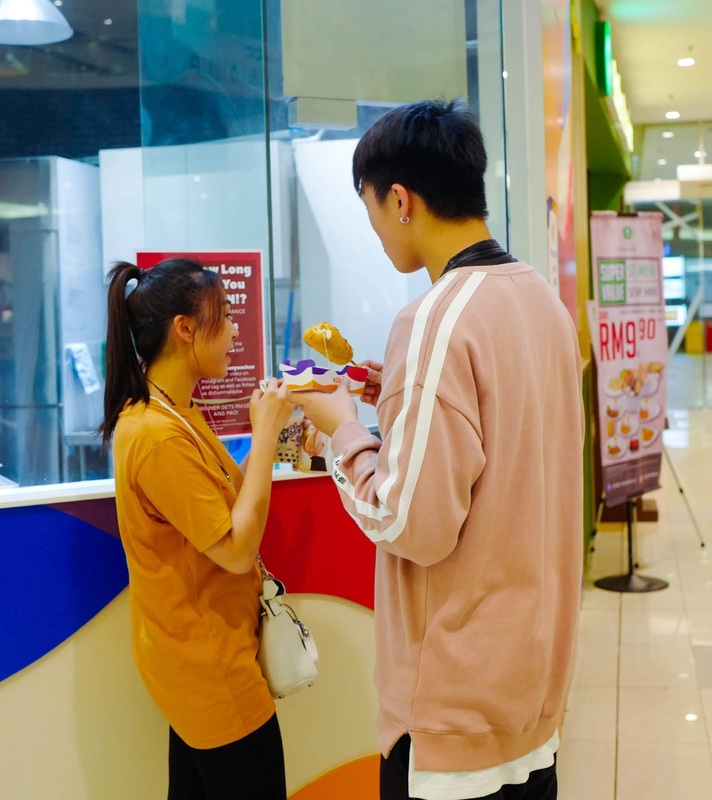 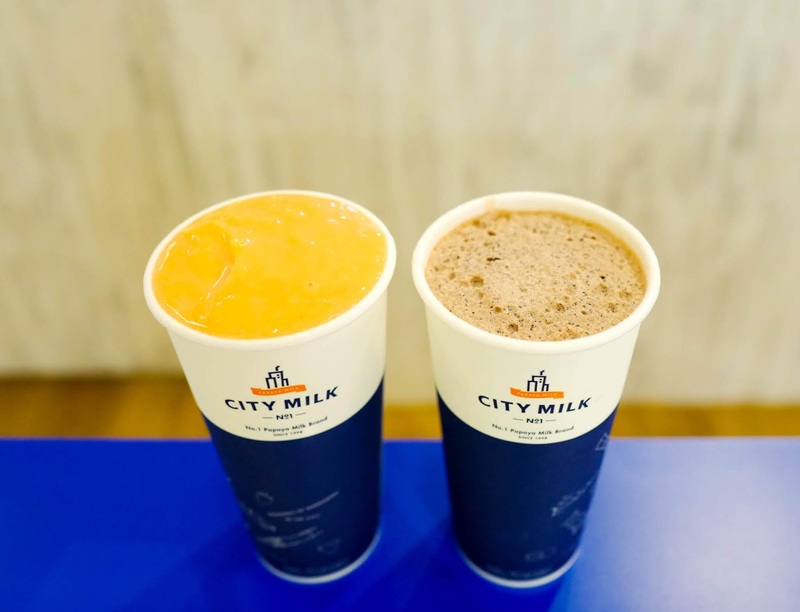 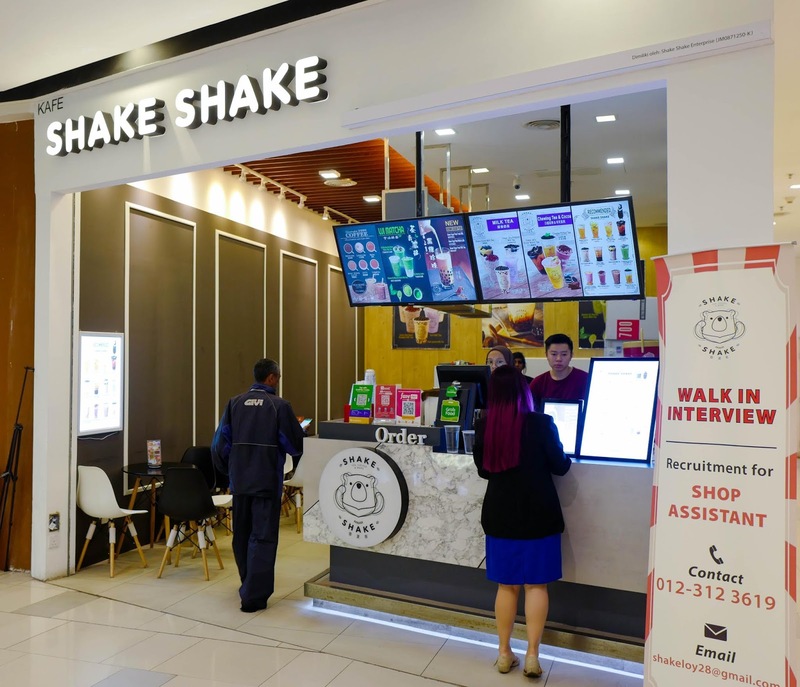 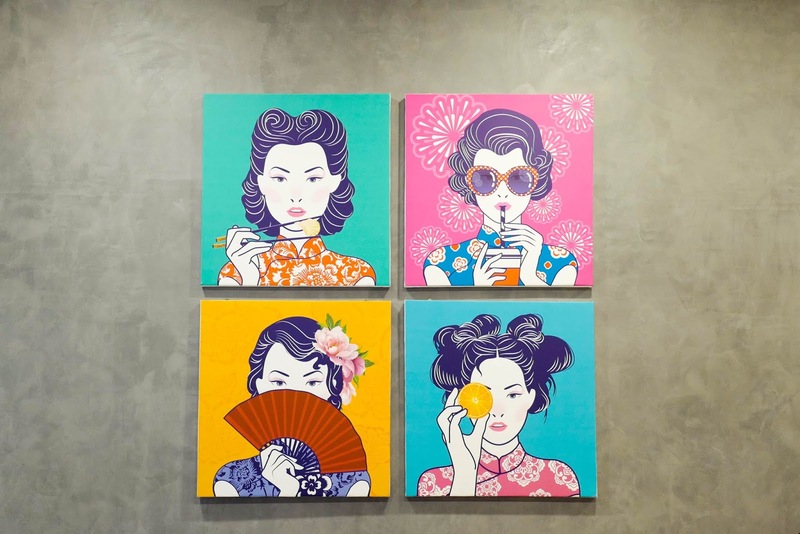 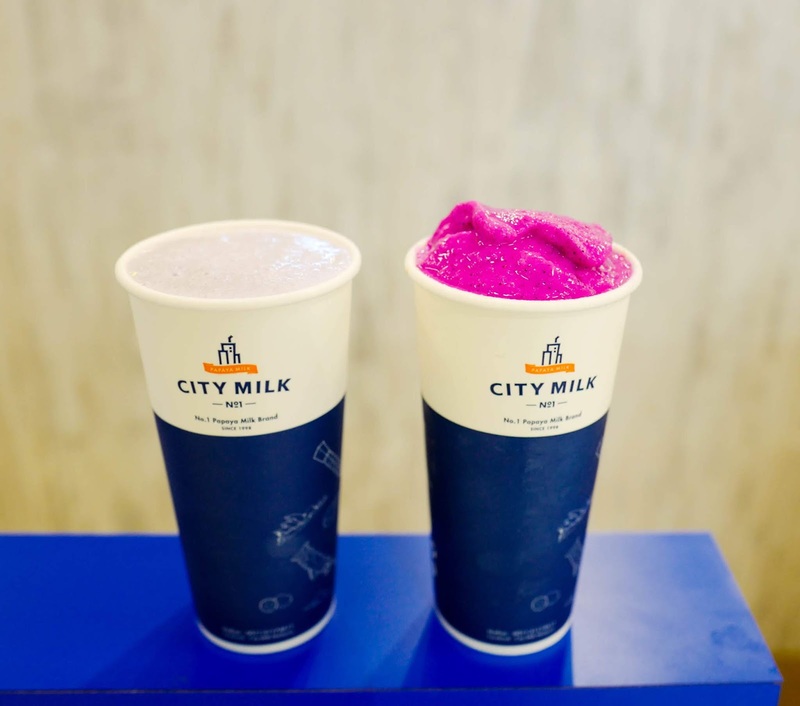 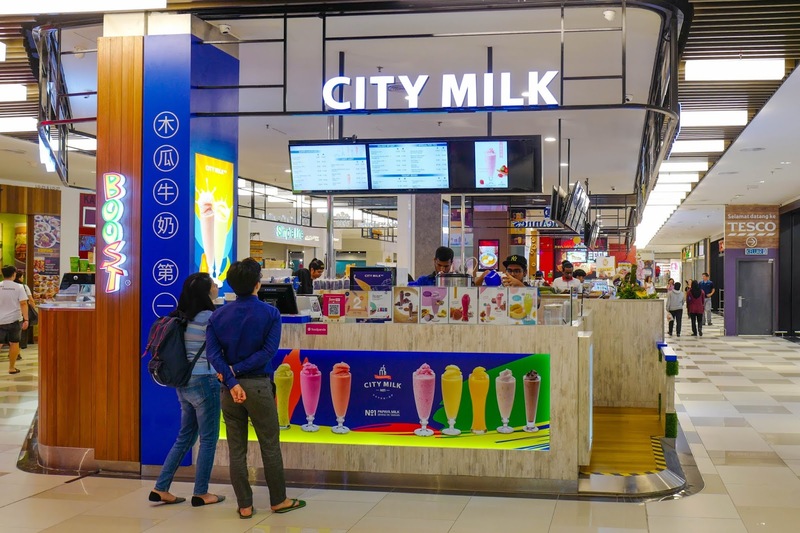 Founded in Taiwan in 1998, City Milk (the Number One papaya milk brand in Taiwan) lures cosmopolitan customers with hand-crafted fresh fruit beverages blended with milk - essentially more wholesome, nutrition-rich milkshakes. 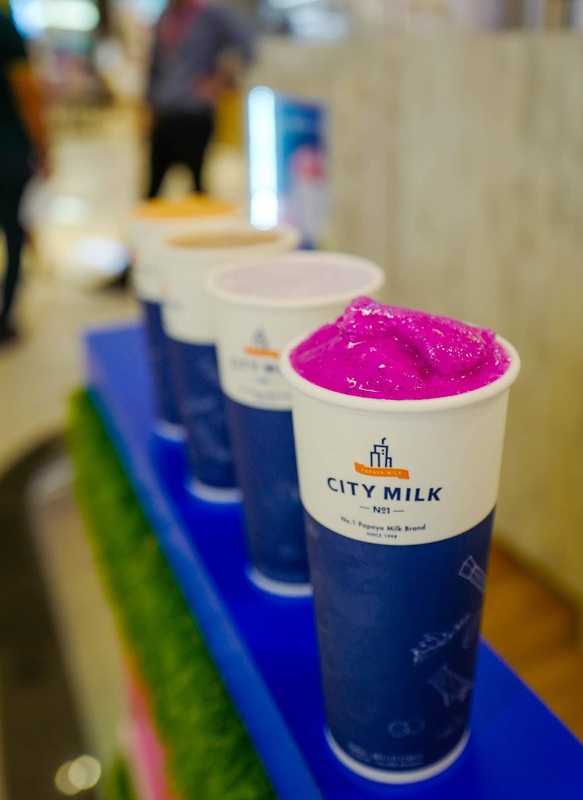 The repertoire spans the Taro Banana Milkshake (RM9), Red Dragonfruit Milkshake (RM10), Chocolate Chip (RM10) and Papaya Milk, the flagship beverage (RM9), each creamy but not cloying, juggling fruity with dairy nuances, complete with clean, fine-tuned flavours that hit the spot as thirst-quenchers. 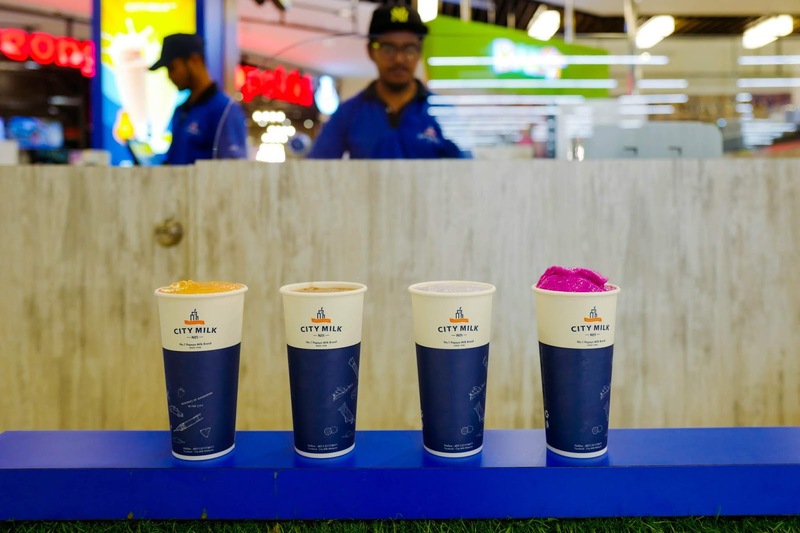 All in all, more than two dozen varieties of drinks are available, with large sizes being only a ringgit extra in most cases. 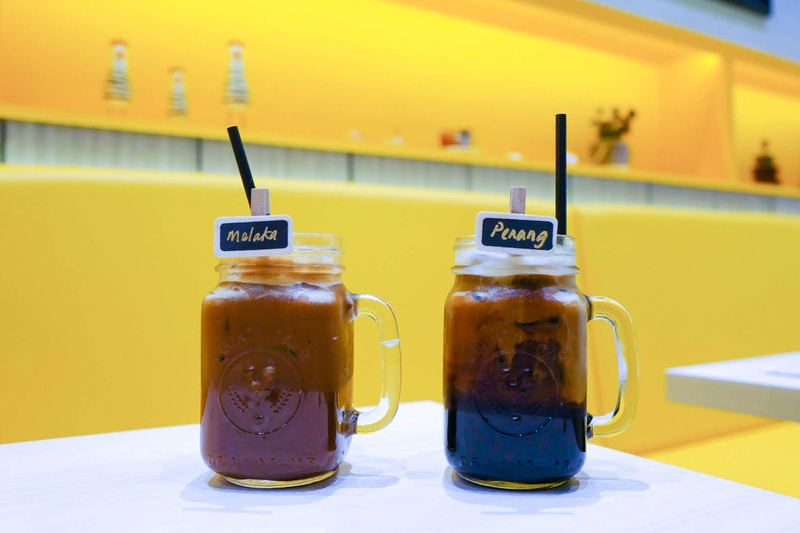 Taiwanese milk tea comes a-calling with Shake Shake, whose name is also the key instruction for customers before consuming each beverage. 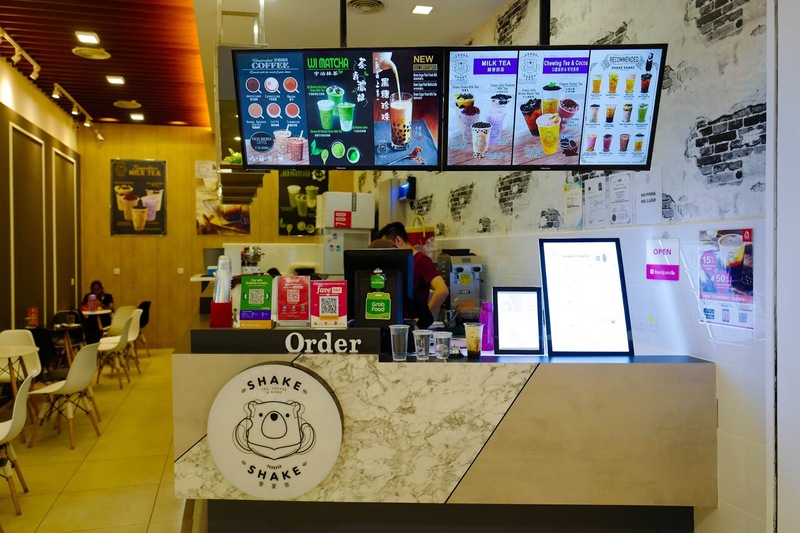 Variety is the spice of Shake Shake - almost 60 types of tea, coffee, smoothies and cheese-infused drinks can be ordered (practically a different drink for every day throughout two months!). 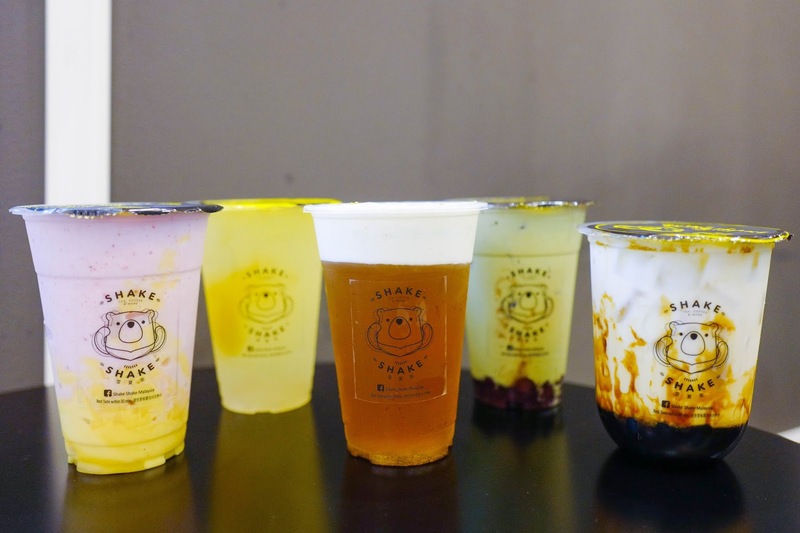 For an ideal introduction, our best bets range from the Strawberry Pudding Milkshake Smoothie (RM9) to the White Pearl Aiyu Lemon Juice (RM7.50), the Cheese Fresh Green Tea (RM7) to the Uji Matcha Red Bean Green Milk Tea (RM8.50) and Brown Sugar Pearl (RM9.50), spanning the diversity from the dynamic to the delicate, the punchy to the pleasant, creamy to easy-drinking, all slick and smooth crowd-pleasers that cater effectively to Malaysia's current casual-and-cool drinks landscape that takes inspiration from vibrantly youthful East Asian flavours. 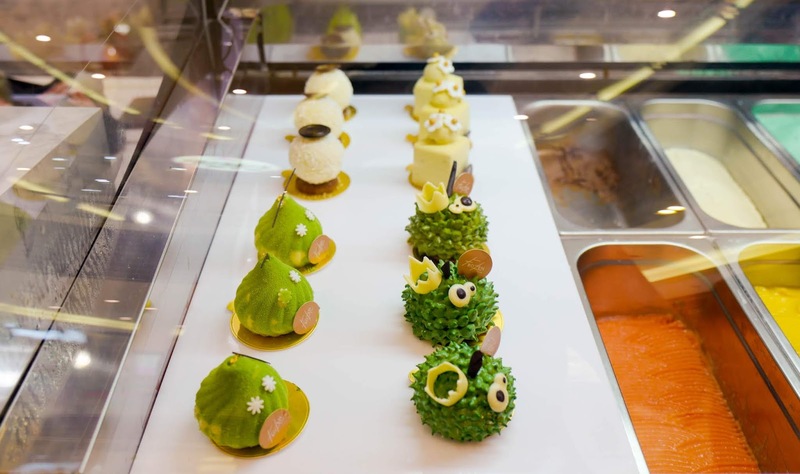 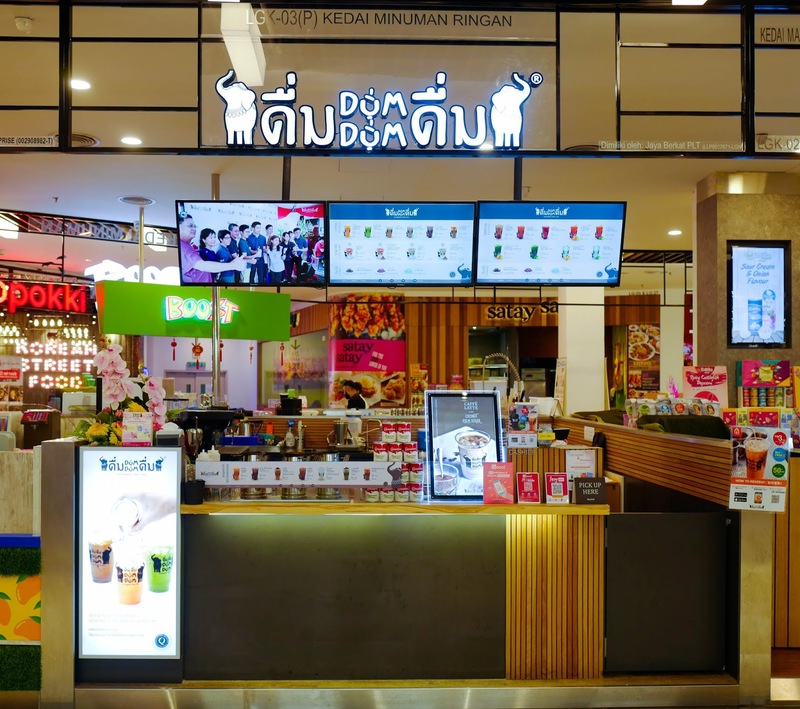 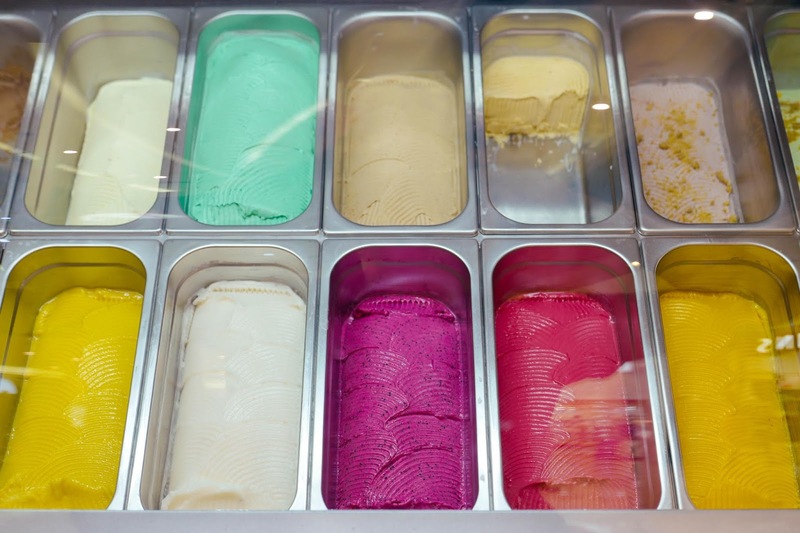 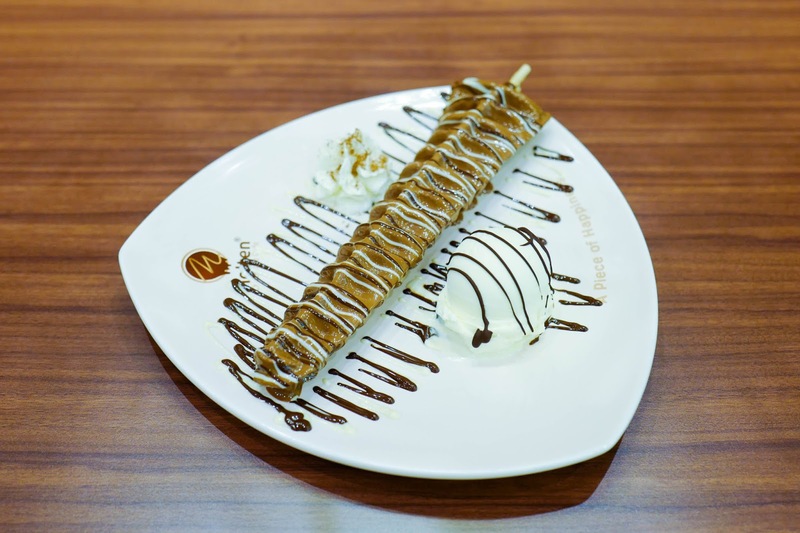 There's still much, much more to explore at Paradigm Mall, from Indonesian-born brand Dum Dum Thai Tea (offering authentic tea and coffee imported from Thailand) and Frozen (with flamboyantly flavoured ice cream that includes plated desserts like the durian-shaped Musang King cutie). 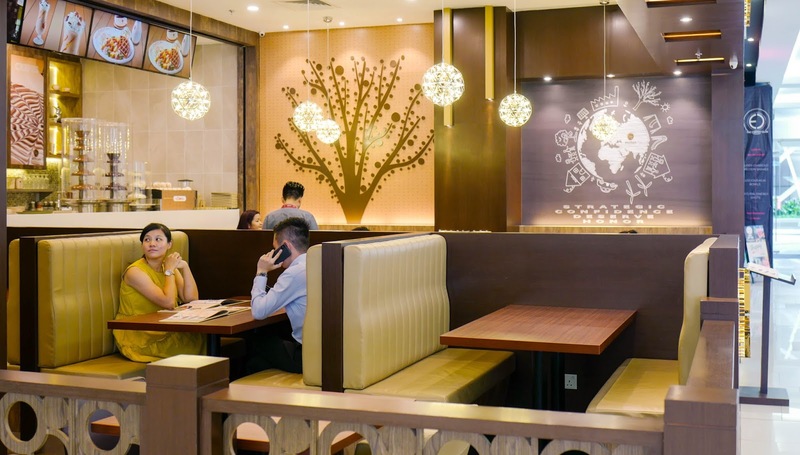 The newest addition to Paradigm Mall is SRK Noodle House, one of the most prolific Sarawakian restaurants around. 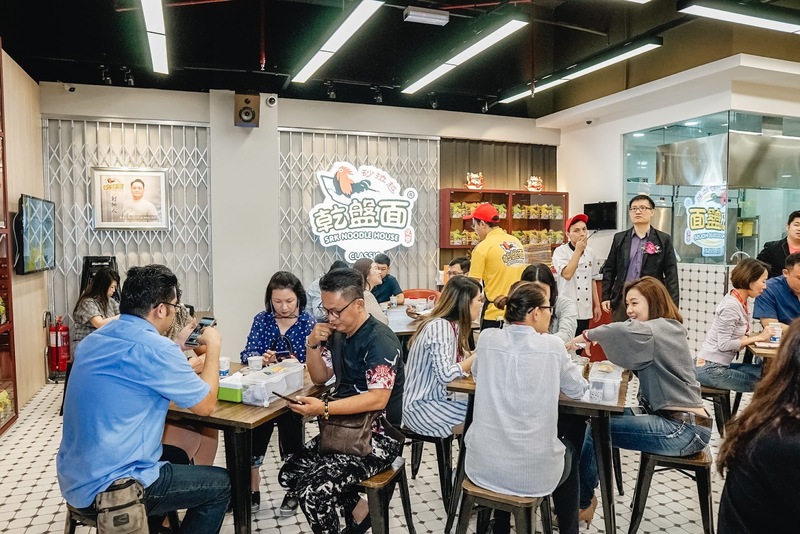 Miri-born founder Ah Xiang started serving just two dishes in a small stall in Puchong and has now expanded wider - he nonetheless remains true to his roots. 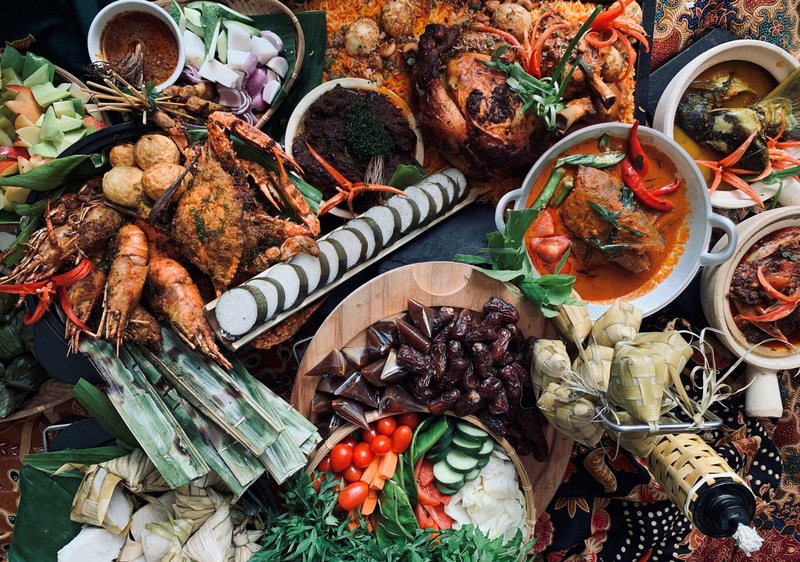 The two dishes that he began with remain firmly on the menu - kampua mee and Sarawak laksa - as well as other items like Sarawakian bien nuik and rice wine chicken soup. 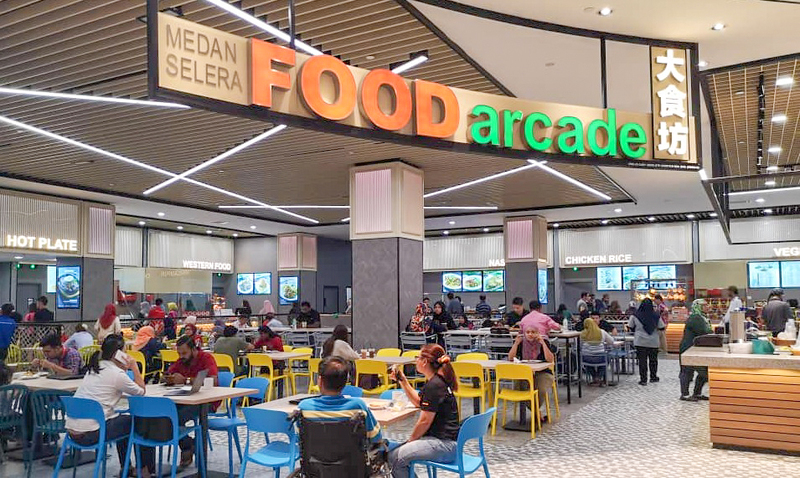 Special mention to the premier 24/7 outlet in Paradigm Mall, OLDTOWN White Coffee, a no-frills, fuss-free, semi-self-service outlet that serves top-selling items like Nasi Lemak Chicken Rendang, Curry Mee, the range of Toasts, the new Freezy selection and, of course, OLDTOWN White Coffee, helping customers scratch the itch for good old-fashioned Ipoh kopitiam greatness. 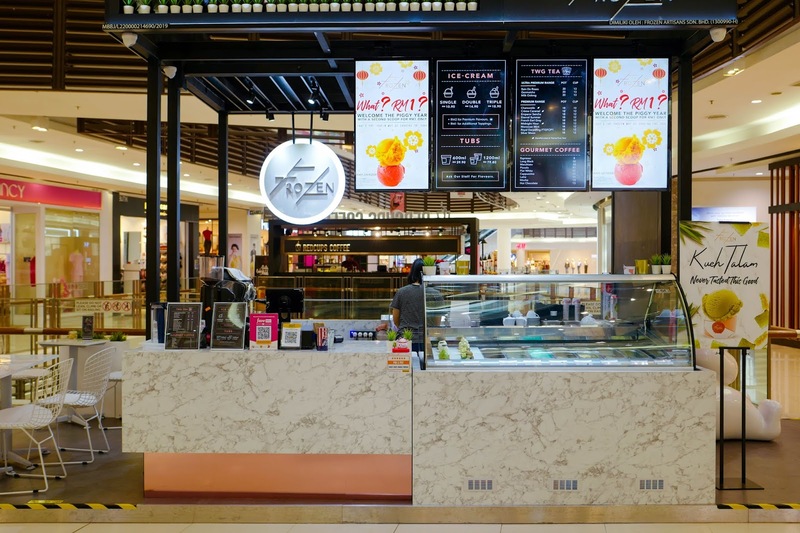 Many thanks to Paradigm Mall for having us here. 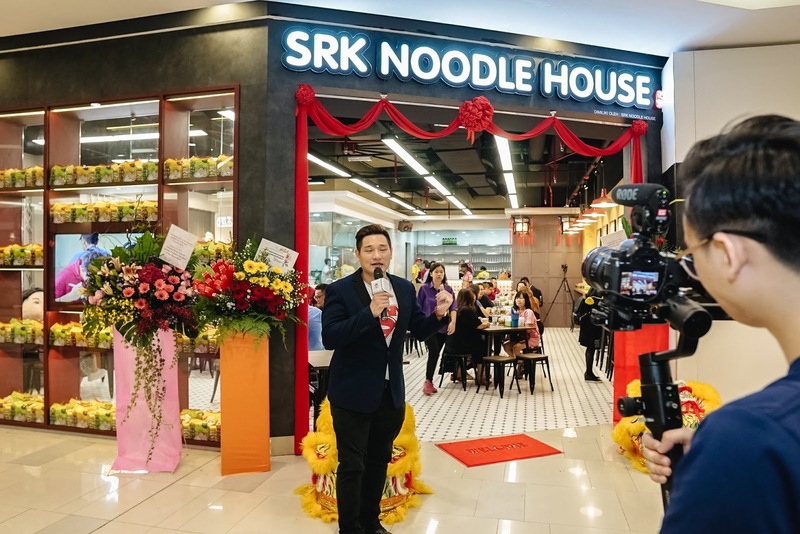 Photos of SRK Noodle House and OLDTOWN White Coffee are courtesy of the respective outlets. 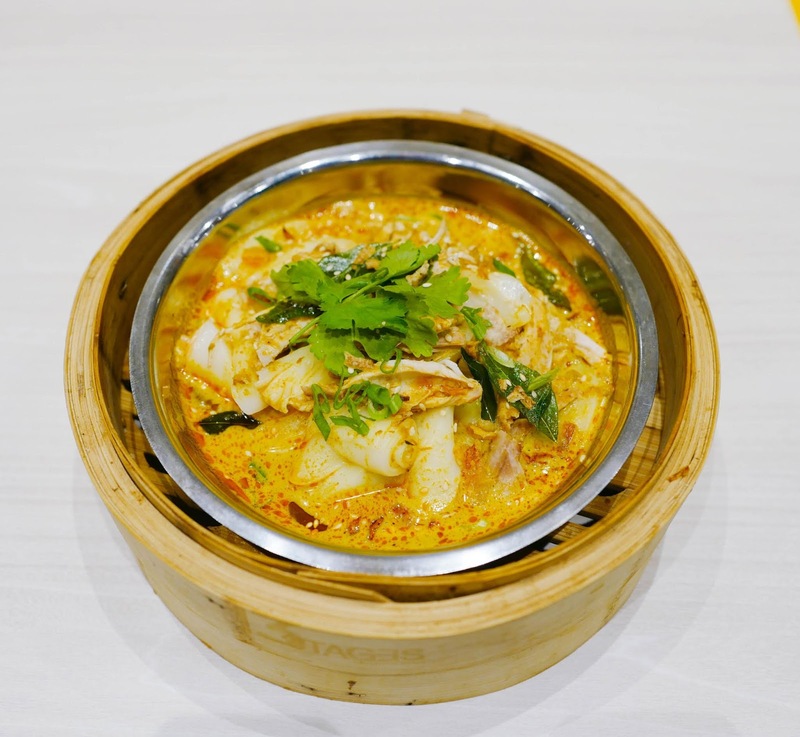 1, Jalan SS 7/26a, Ss 7, 47301 Petaling Jaya, Selangor. 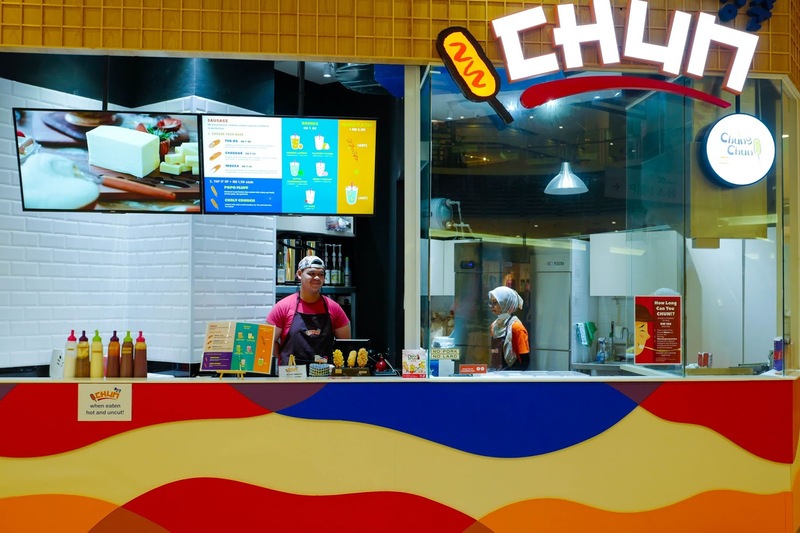 Daily, 10am-10pm.